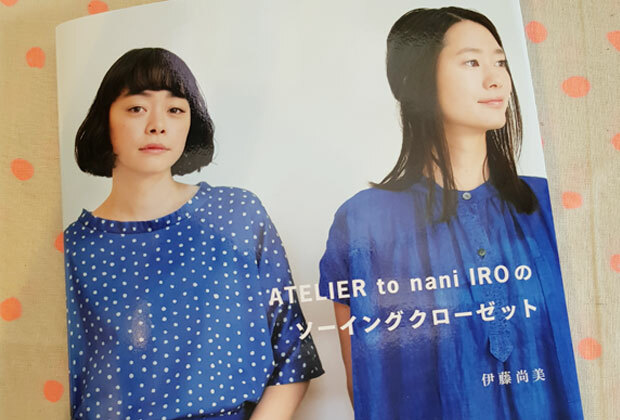 Following up from Part 1 of nani IRO 2018 collection… we continue looking at the new designs that nani IRO has to offer. A brand new design for the 2018 collection. 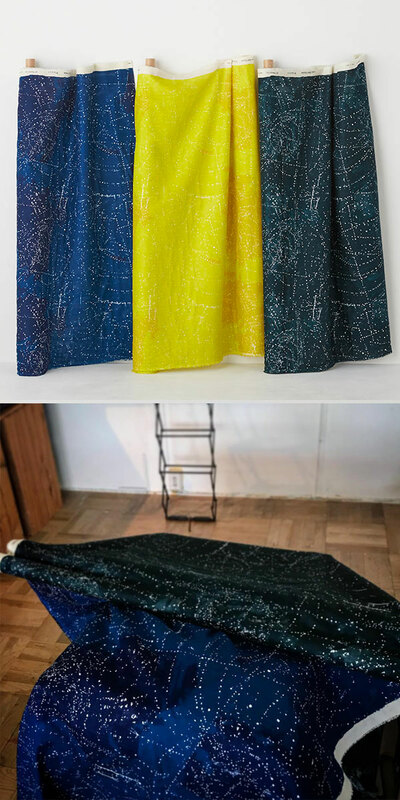 Check out the original artwork (see original post by Naomi Ito from Instagram) that was transformed into fabric. Can you see the blue highlights on the original image that have been translated into highlights on the different colorways? This design comes in a few subtrates and colorways. First up is the thin linen in unbleached and brown base. 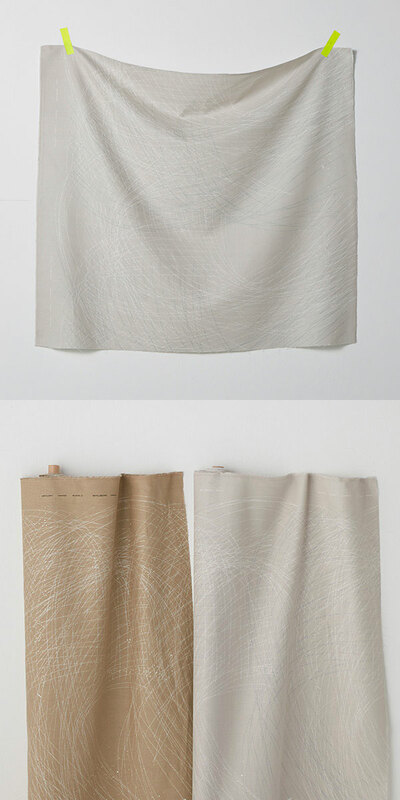 The same design in double gauze, a blue and light brown, almost a champagne gold color? And also, cotton sateen. 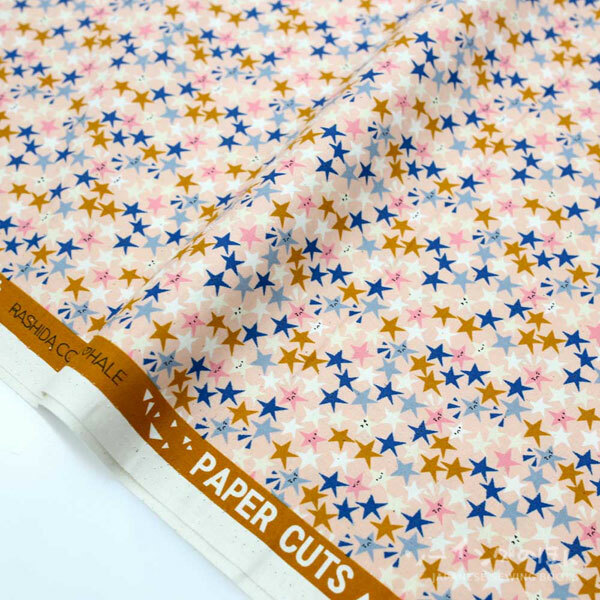 I think this design is stunning in cotton sateen. Look at the sheen on the fabric! I am particularly taken to the light blue version. From far you can’t really see the artwork but the details upon close up are really gorgeous. 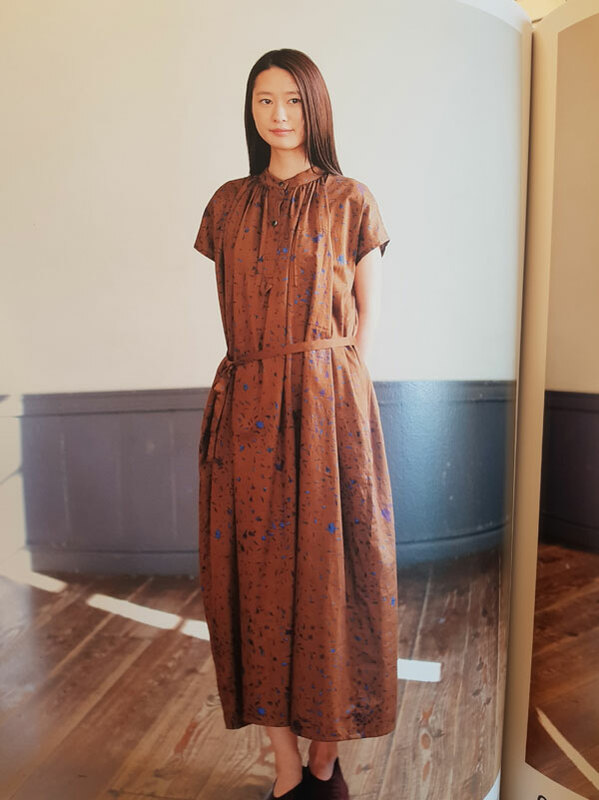 If you think this looks like Saaa Saaa from previous year’s collection, then I beg to differ. 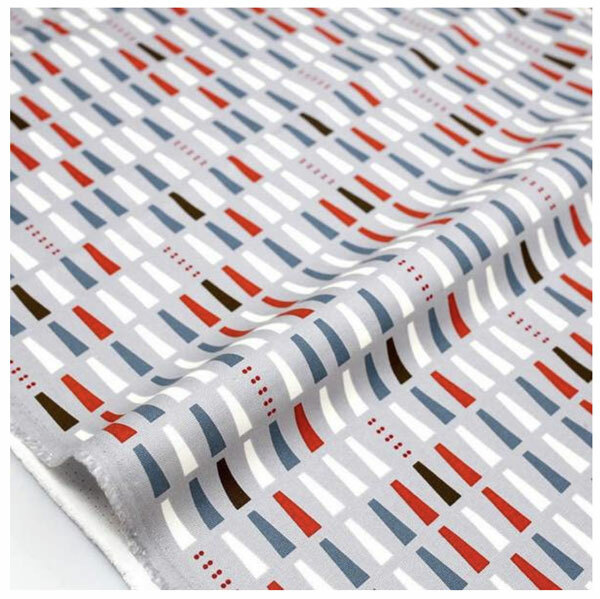 I would think of Saaa Saaa as a regular width stripe fabric, but Camino more like a pin-stripe fabric. Both are made up of irregular lines. But where Saaa Saaa is a two tone design made up of single color pen sketched lines on a single color background, Camino has an added 3D effect with random black shadings, which kind of makes the lines pop. 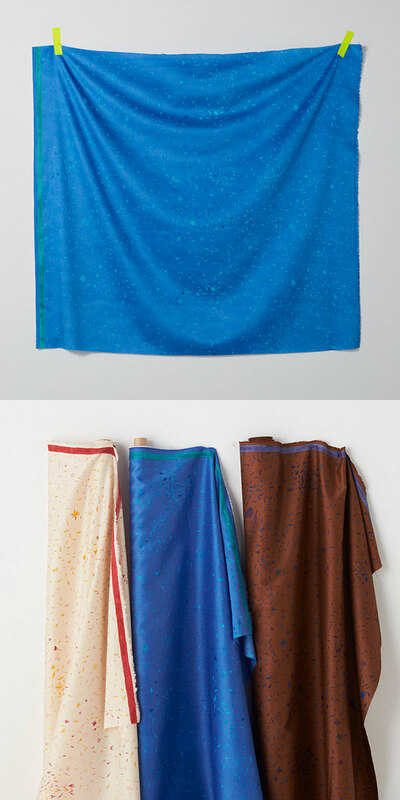 I actually thought the blue double gauze was embossed with metallic embellishments till I saw the close up picture. It is actually white strokes (looks like chalk?) and some irregular black lines for added shading. The varying strengths of the black strokes is what gives the fabric such an interesting look. and look at it on this dress below, it does look shiny isn’t it? I think this will be an awesome fabric for a Men’s shirt. 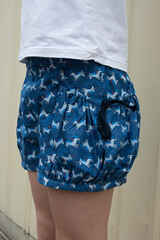 or a pair of ladies relax pants. Camino comes in sheer linen too. 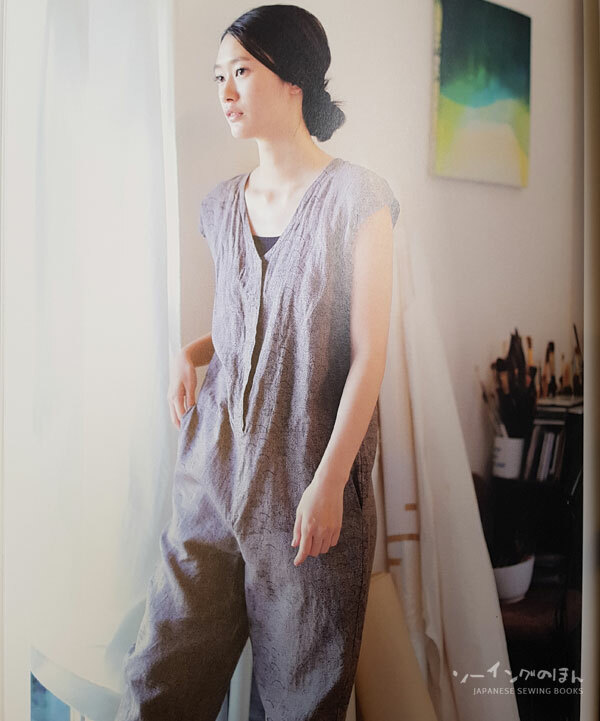 You can’t really see from these picture, but the linen is quite thin and drapier than regular linen. If you shine a light through it you can see through it. But thanks to the darker colors, it is not actually sheer like transparent type of sheer if you know what I mean. 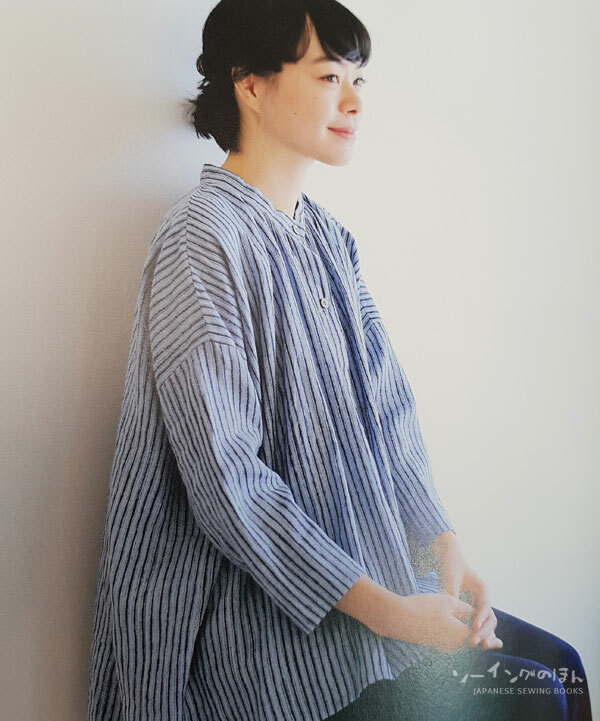 You can see the linen used in the shirt P below. I must say that this design was one of my favourites when I first looked through the new collection. From far, it is simple and there are no bold shapes standing out, but the details are amazing. 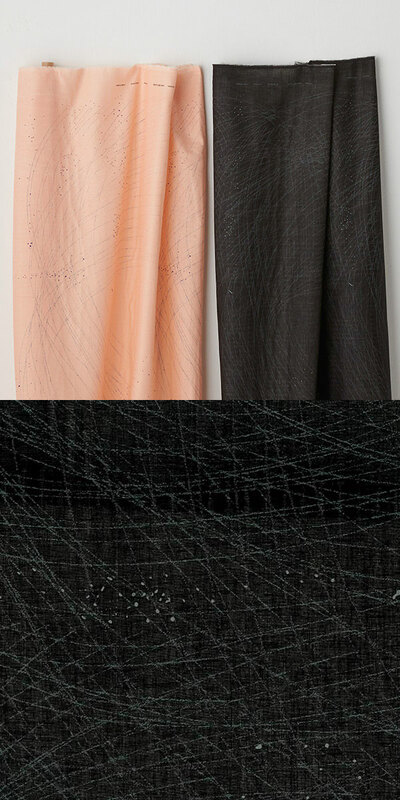 It kind of looks like some kind of intricate road map The first two colors – the peach and the black are double gauze. 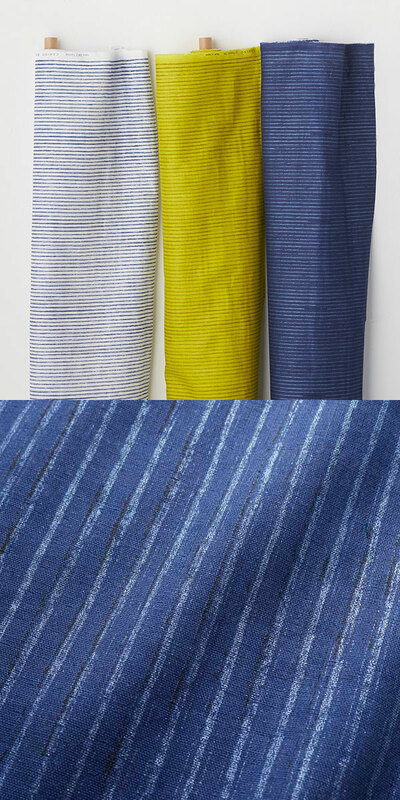 while the other two colors – which look like silver and gold, are made of a heavier mix of material in a herringbone weave, which is a V shape weaving pattern. You would probably have seen this in twill or even some men’s shirts fabrics. 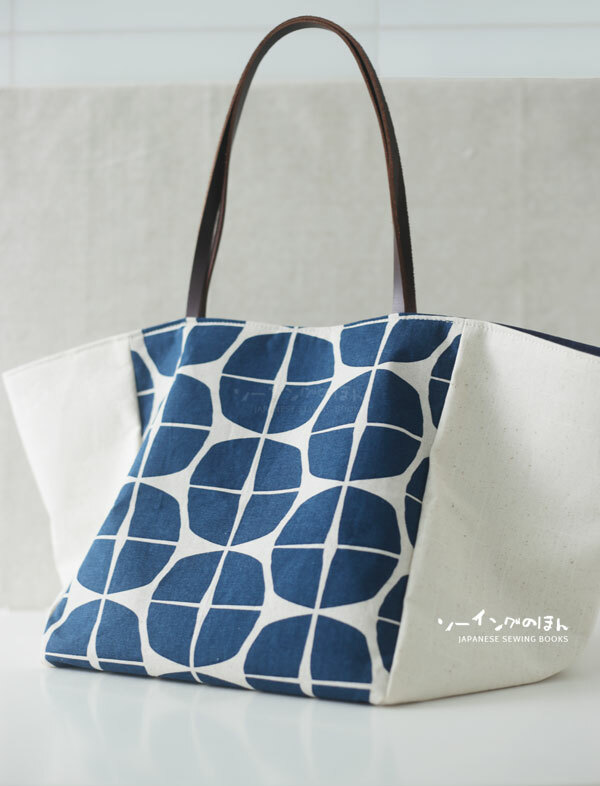 It is not the first time this type of weave has appeared in the nani IRO textile range, for example, in the nani IRO reversible tote bag tutorial I posted 5 years ago, I used a canvas from the Nani Iro 2013 collection called pencil in white and aqua. This particular fabric feels heavier than the canvas that I had. According to the official website, it is a mix of 55% hemp and 45% cotton. So I believe its more suitable for outerwear. Or maybe structured pants/skirts or even bags. 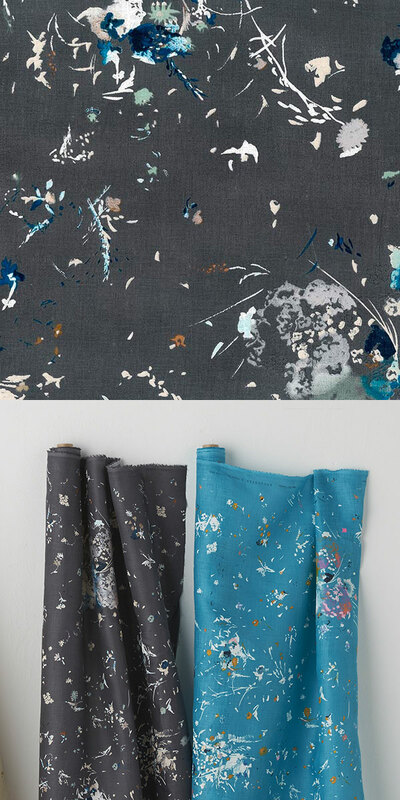 The silver colorway is stunning, and there is even a video of the fabric being rolled out on Naomi Ito’s Instagram which captured the sheen of the fabric perfectly. 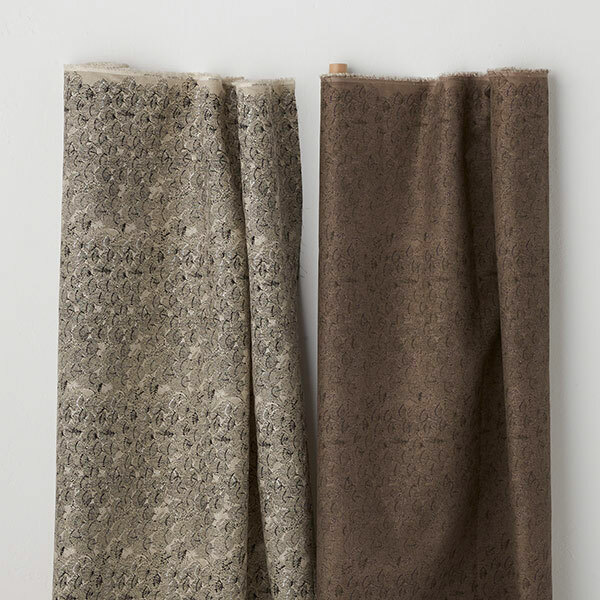 This fabric was used for the long coat in the R – and in the description it is stated as a thick material suitable for Fall and Winter. On the website, this was listed under the basic range instead of new designs. 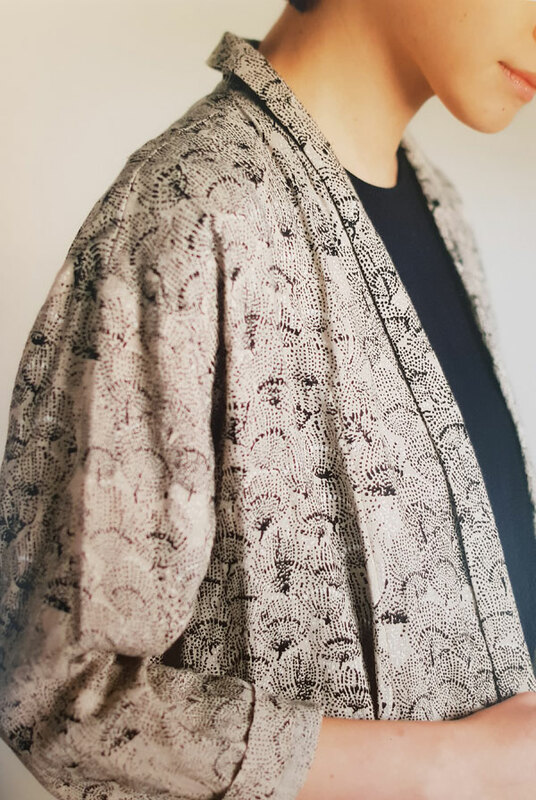 However, although it bears the same name and motifs as Fuccra Rakuen, the repeated patterns are a new arrangement and I wanted to rave about the Jacquard weave. 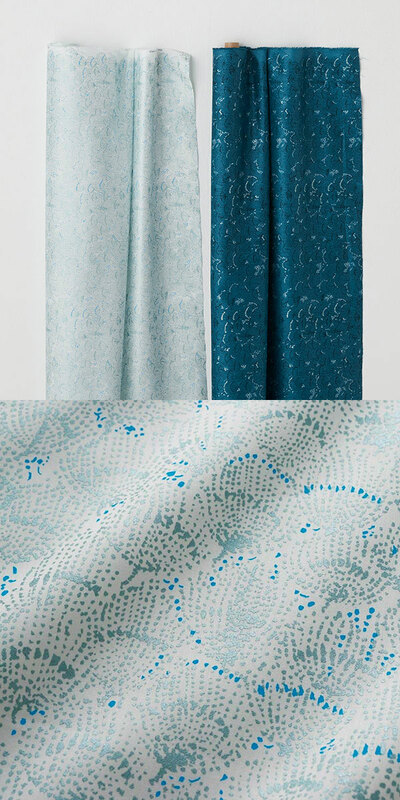 Jacquard weaves are textured weaves which means you can feel the texture of the motifs and it adds a level of luxe to your garment. 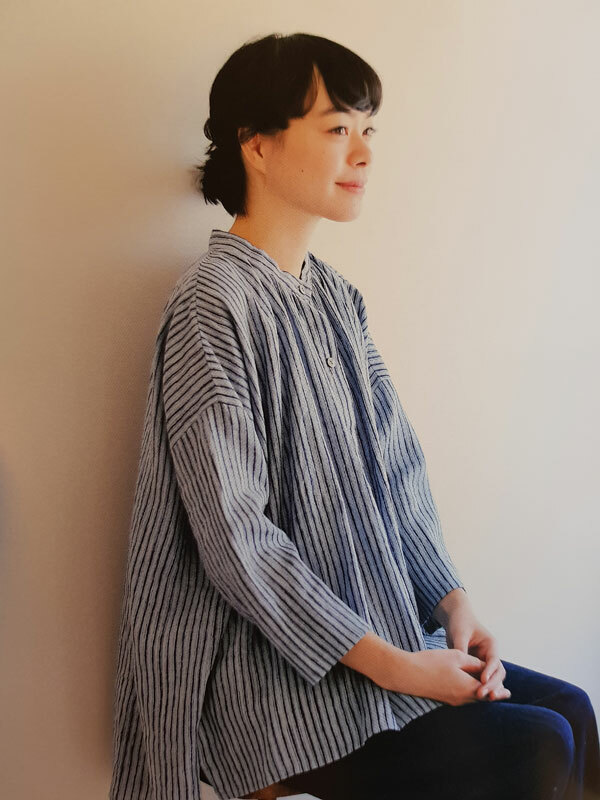 This is a 100% cotton jacquard weave and is woven in 西脇 Nishiwaki, which is famous for their long history in Banshu-ori – the production of cotton textiles by dyeing, weaving and finishing in one continuous production cycle. I think the black colorway would be stunning for a nice formal jacket. 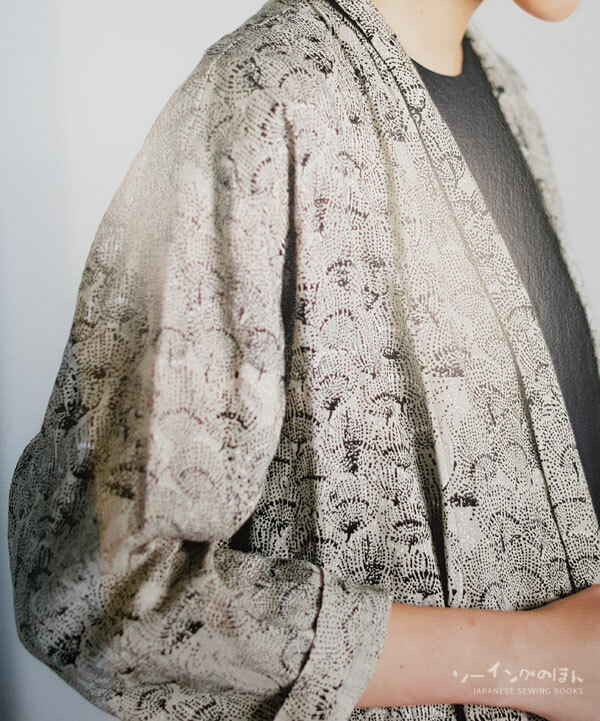 The grey colorway was featured in the book as a coat as well. 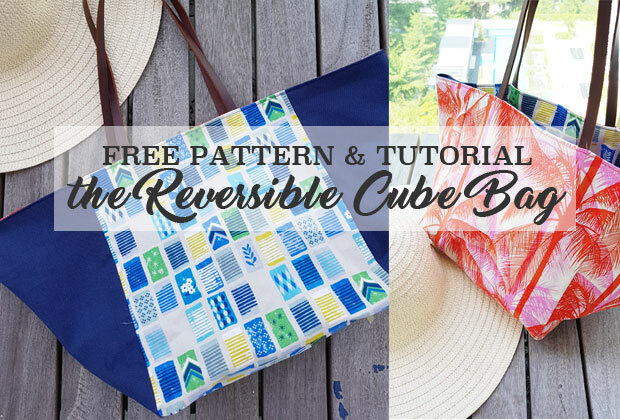 Part 3 (probably on Monday) – I will go into the new releases of previous designs, some in new colorways, some in new substrates – such as quilted/laminated versions. See you then! 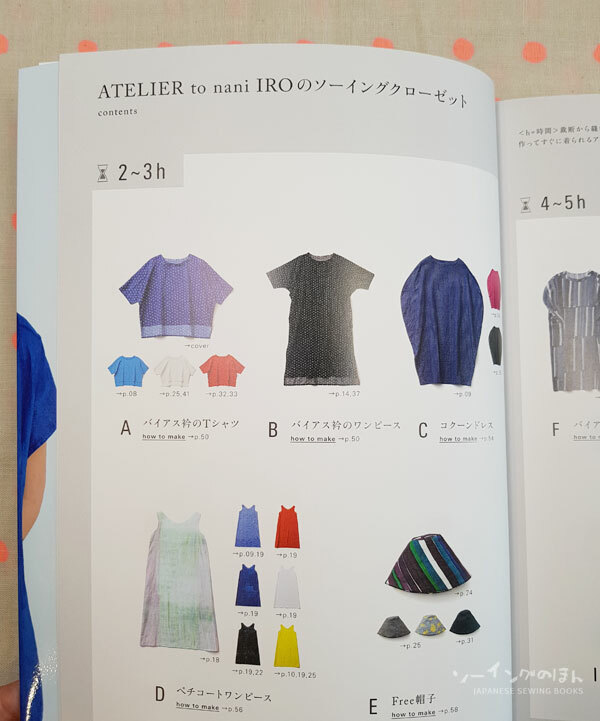 As mentioned last week, I will be doing a couple of post featuring nani IRO’s latest collection, just released a couple of weeks ago! 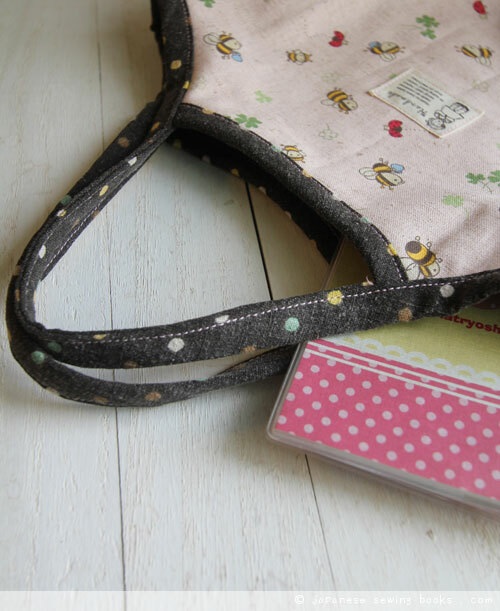 I am trying to sew up something from the new book + new collection in time for nani IRO month but I forgot that it was school holidays this week! 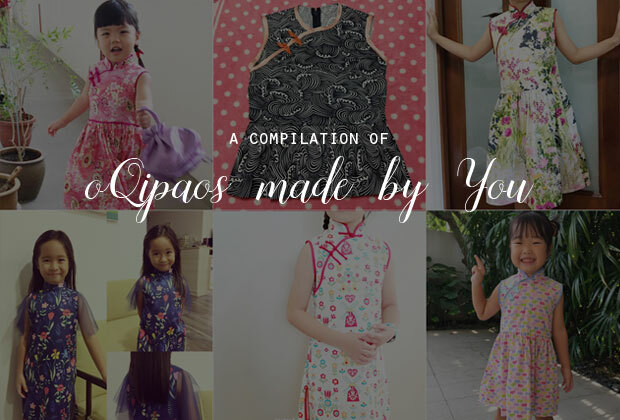 So while the kids are at home, sewing is impossible, I will have to put that off till next week, and let’s take a look at the new collection first! I will be breaking up the post into a few parts because there are so many prints. The first collection is called Ripple, this is my favourite and the most unique design of the lot, and you can see why! The border prints make it for really interesting garments, as no two garments will be identical, depending on how you cut your patterns. 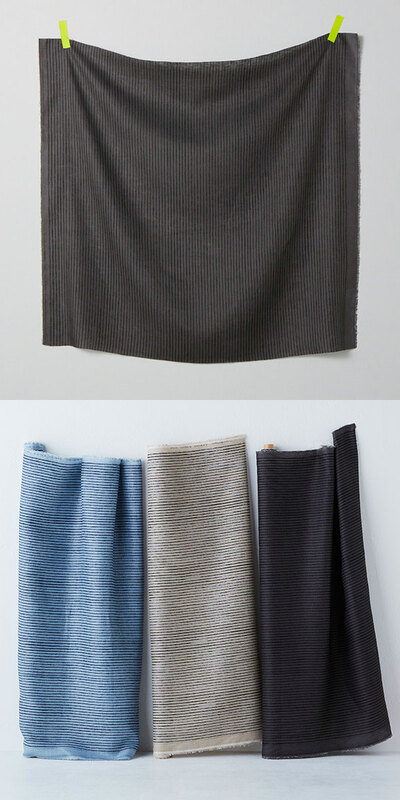 There are 4 different colorways in this range, with the above 2 colors in double gauze and the two below in a thin linen. You can see from the sample images that the borders have very different designs. I actually like the gold scribblings on the yellow colorway, although I can’t quite make out what it says. The contrast streak on the far right is also really cool. The red and blue versions in thin linen, are quite different too. 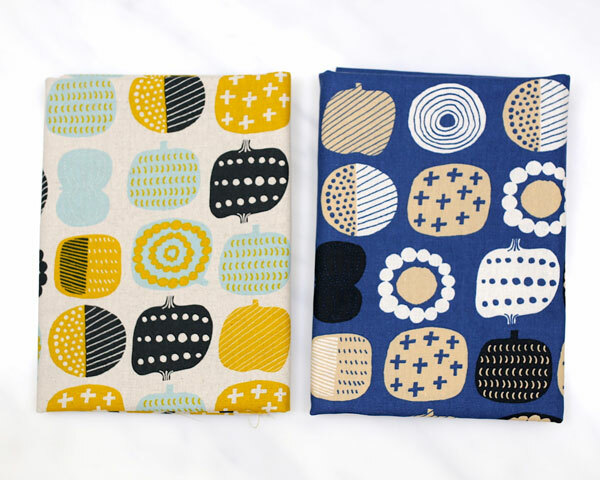 I personally love blue and white so the one on the right is my favourite (which by the way, we are doing a one bolt giveaway on instagram for the month of March so hop over to take part now if you haven’t already! Giveaway post on Instagram) The red is also cool. I love how the lighter red (almost orange?) portion looks like dry roller paint streaks. 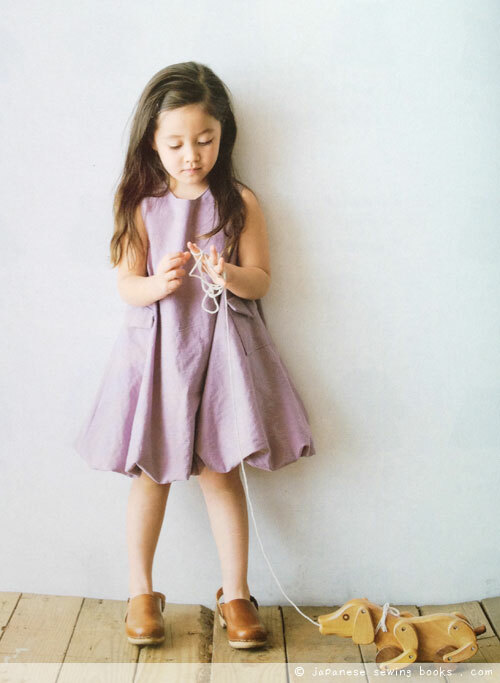 The following dress G from the latest sewing book – Atelier to nani IRO’s closet, is made using this very same fabric. 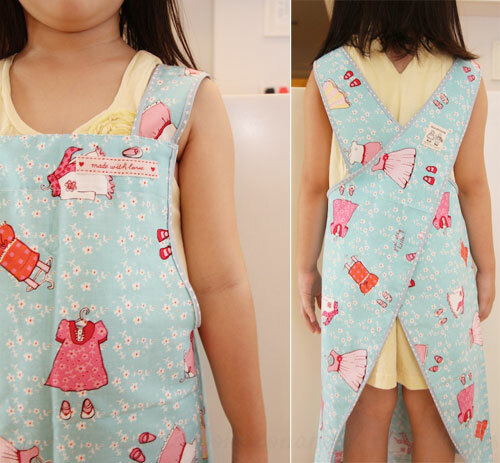 See how the border adds a interesting effect to the dress? The idea behind this series came from the Encounter of flowers blooming in the fields, which may have been planted by a someone, maybe a stranger? maybe nature? 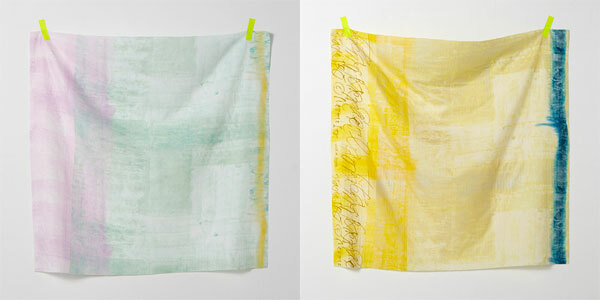 The encounter series comes in 2 different substrates – Double gauze and thin linen. 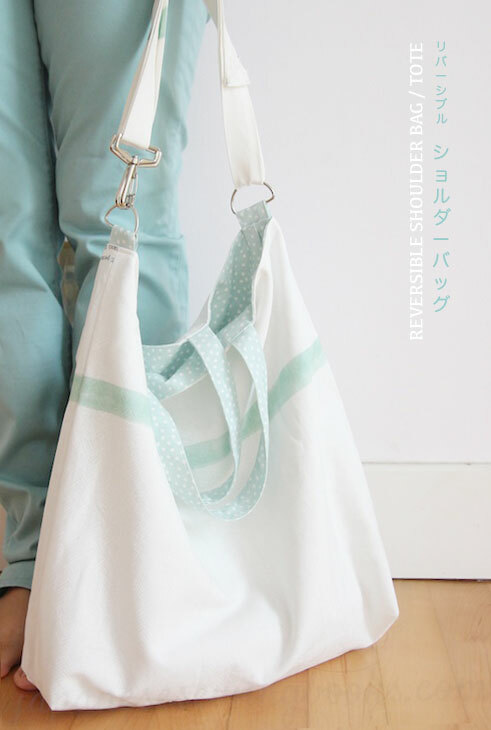 The double gauze versions are lighter colors, with white and cream backgrounds. Notice the two different colors of flowers for the cream versions? The thin linen versions come in darker colors. Dark grey and Blue. Here’s an example of its use in the book. This is a rather complicated pattern with lots of pleats! 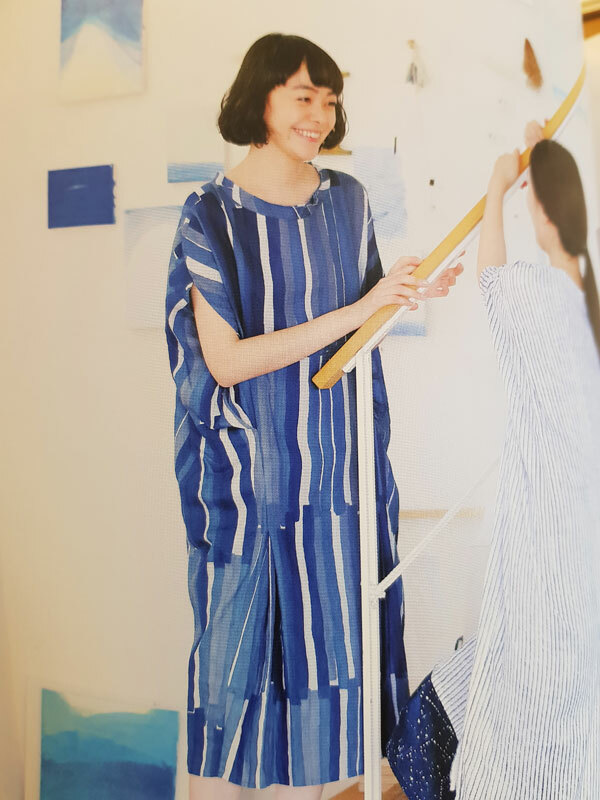 I think it’s great with linen given that it is meant to look kind of crumply, plus linen has a bit more of structure than double gauze which makes the pleats look more interesting. The thin linen is also probably easier to work with when you are trying to make so many pleats. The next series is called Planet, and I think it’s quite obvious why it is called that. 🙂 It comes only in Double Gauze, although I think it will be absolutely stunning in cotton sateen! Well, hopefully next collection? As some of the more popular prints do get recycled and sometimes re-issued in different substrates. The picture below is a picture taken from Naomi Ito’s Instagram. Can you see the uneven colors on the background? It really does look like the constellation doesn’t it? I think this fabric will make a really interesting dress. I am looking forward to making something from this! Next up is Grace. Ok to be honest, I didn’t really know what to make of it in the beginning, until I saw the sample swatches and the colors are a lot nicer in real life! But I didn’t really know what or how to use it in a dress. 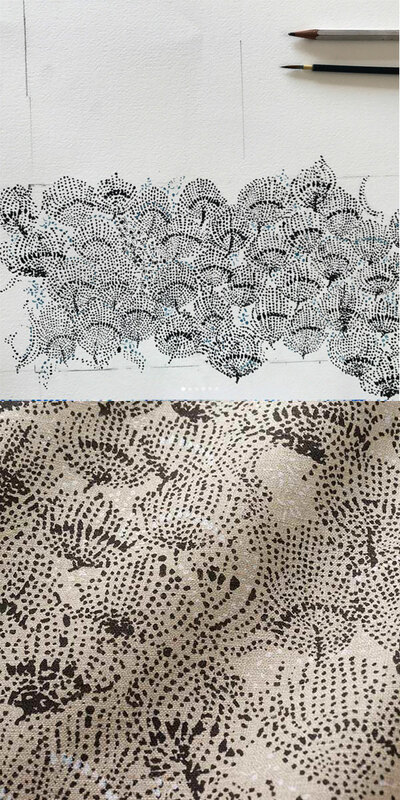 Till I saw the dresses in the book made with this print! 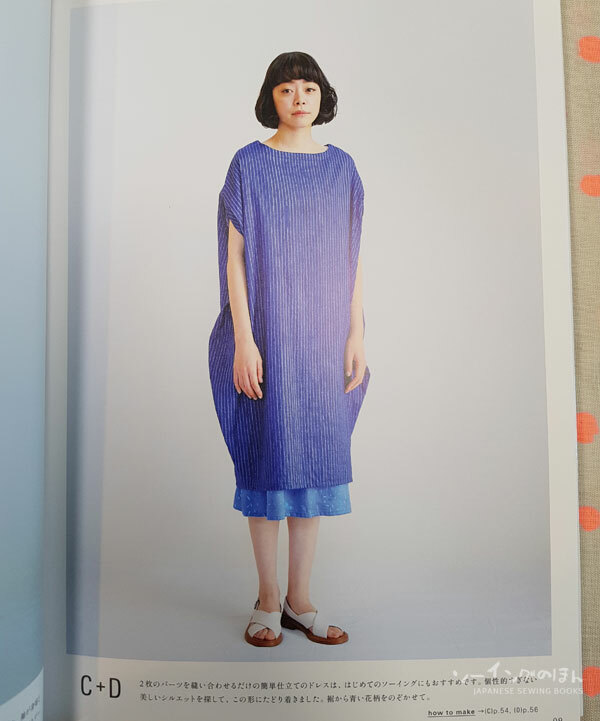 and this is Dress G – Big tuck pocket dress. 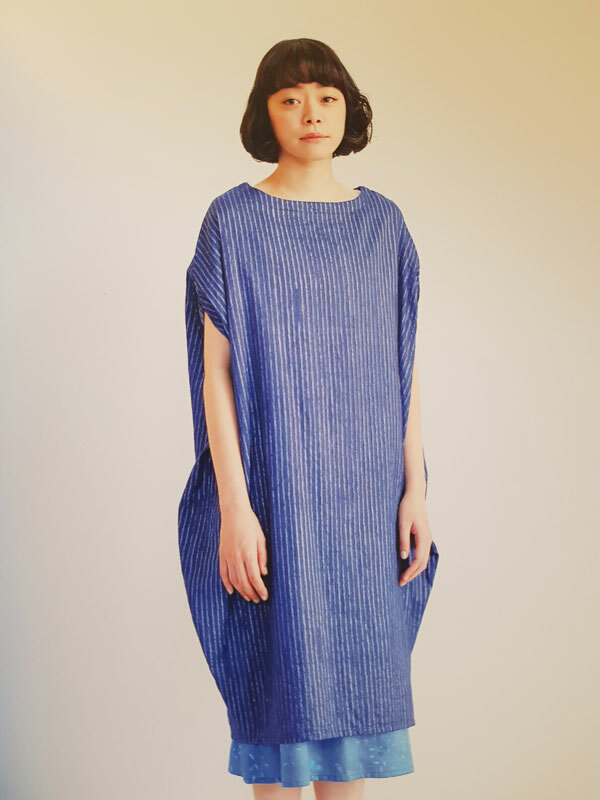 I think the linen really adds character to the dress as well. Ok this post is getting quite long, so one more series for today. The last one on the list is called Mercy and it comes in 2 different substrates too. Double gauze and cotton sateen. 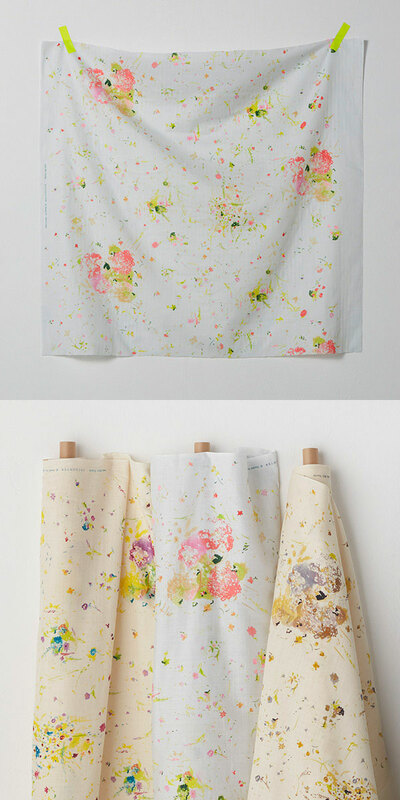 The print is of dancing petals, and it is a really sweet and beautiful piece, perfect for skirts and dresses! The contrast strip on the selvedge is actually quite cute. But it is always too close to the edge for comfort. Wish it could be incorporated into the design! 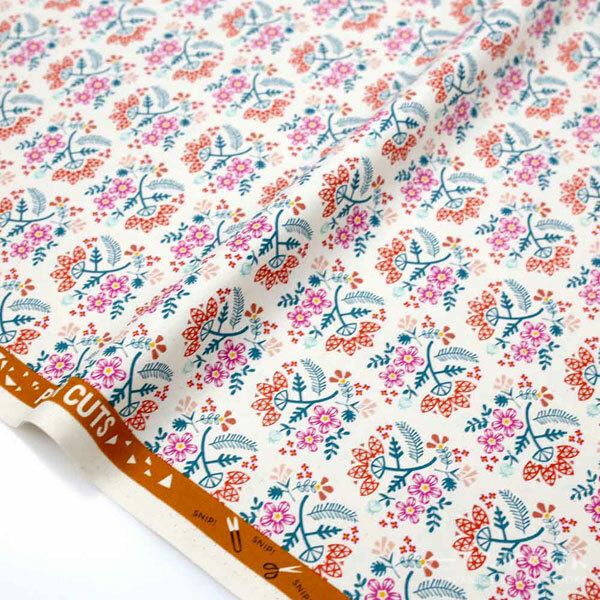 This print also comes in my favourite cotton sateen! Look at the sheen on the fabric! 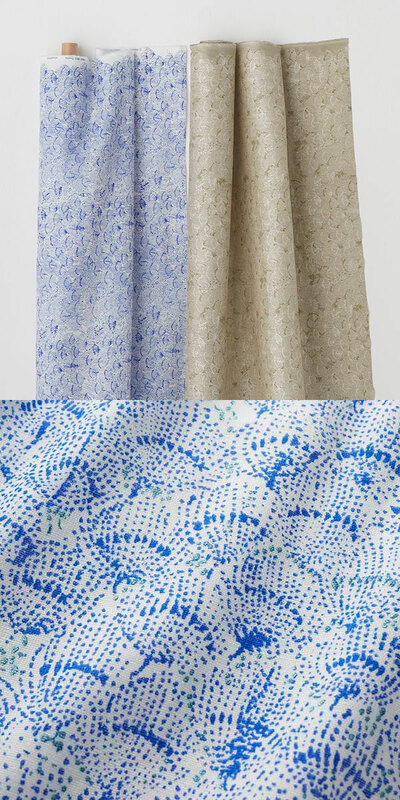 There are 3 colorways for this print – cream, blue and brown. Some examples of the use as shown in the book. Dress N in brown Mercy cotton sateen. Skirt L in blue Mercy cotton sateen. 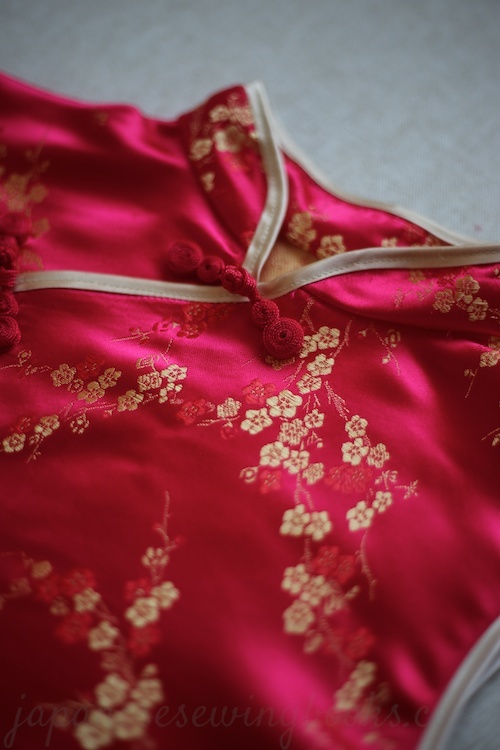 Cotton sateen is different from satin! 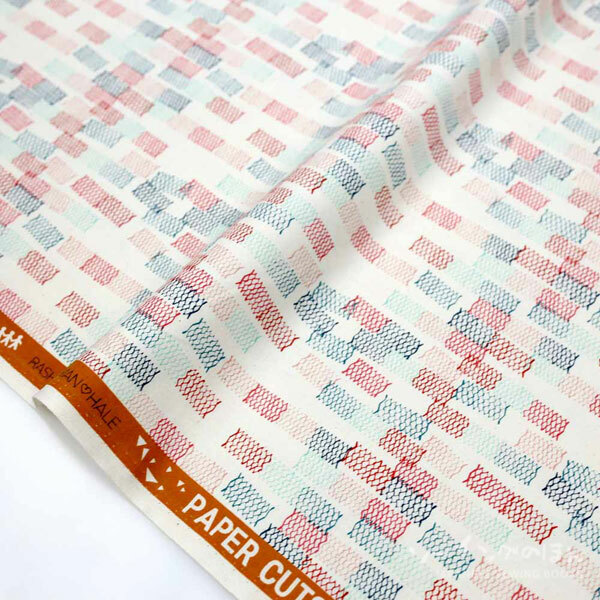 Cotton sateen is 100% pure cotton and woven in special way so that it exhibits a sheen. 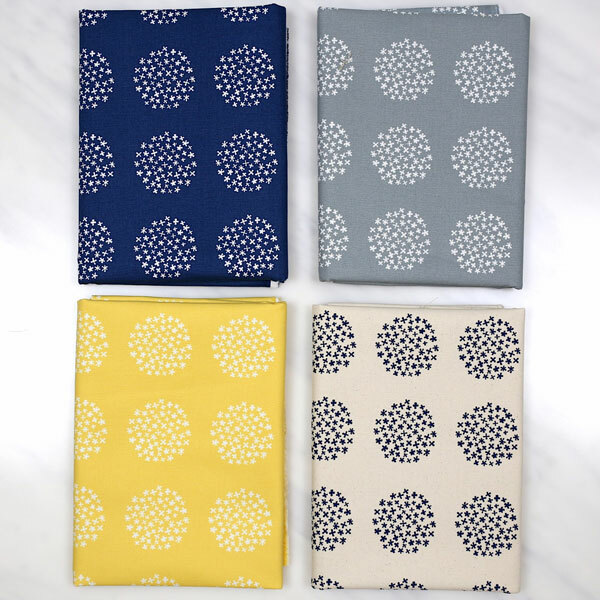 The nani IRO cotton sateens are very soft and quite thin, and drapes well. 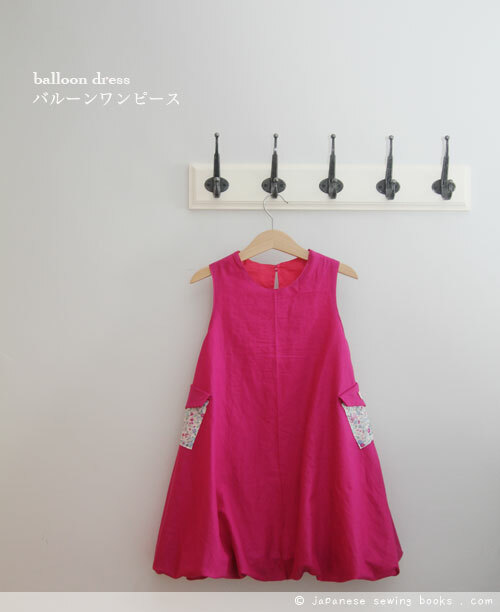 You can read more about my sewing with nani IRO cotton sateen from last year. 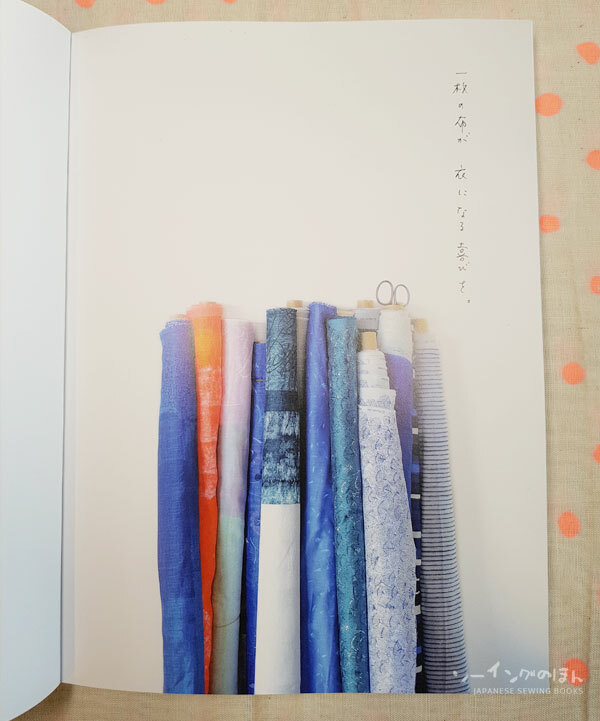 All the fabrics used in the book are from the new nani IRO 2018 collection. I will be going writing up on that once I get my hands on the fabric. 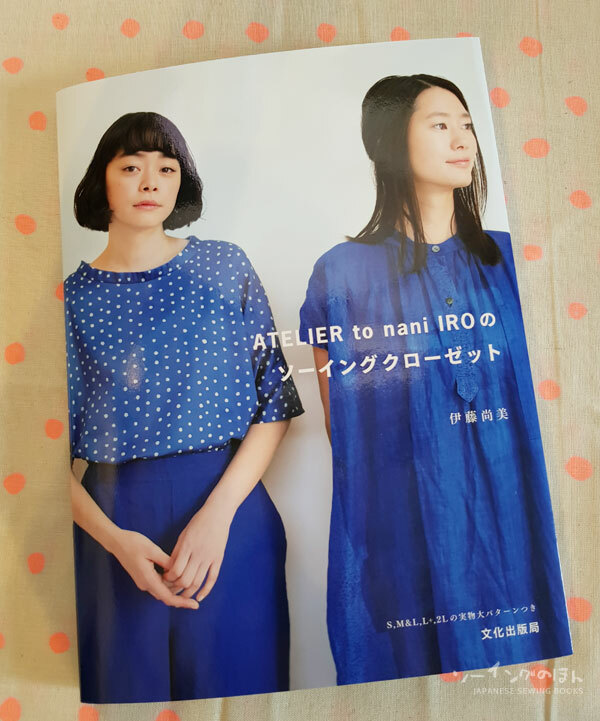 And since we will be practically talking about nani IRO collection the whole month, I would like to declare this month of March 2018 – nani IRO month again! 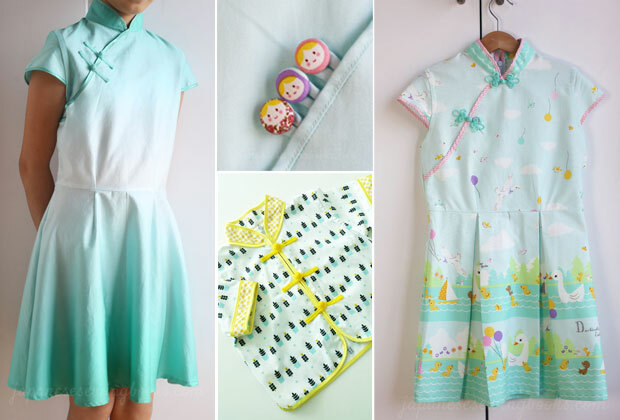 I first came up with this idea back in March 2013 where I dedicated the entire month to nani IRO related posts, and oh my has it been 5 years already??? What will I be doing for nani IRO month? 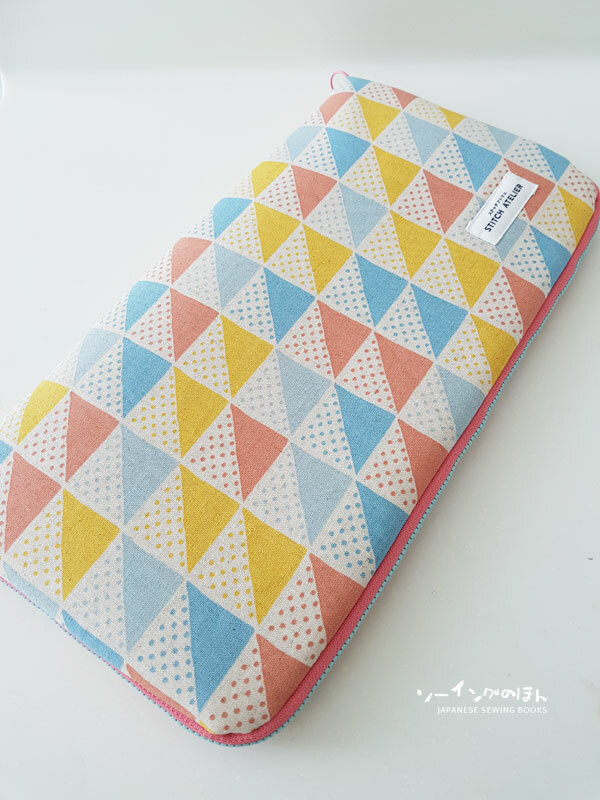 First of all, this book review, followed by a post on the new collection this year, and finally my very own makes! 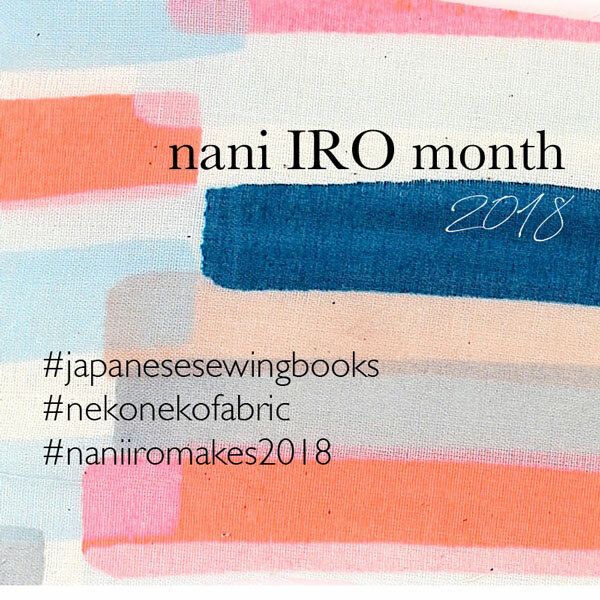 I would also like to invite all of you to join in too, by posting any of your past or present nani IRO makes on IG with the hashtag #naniirogiveaway2018. 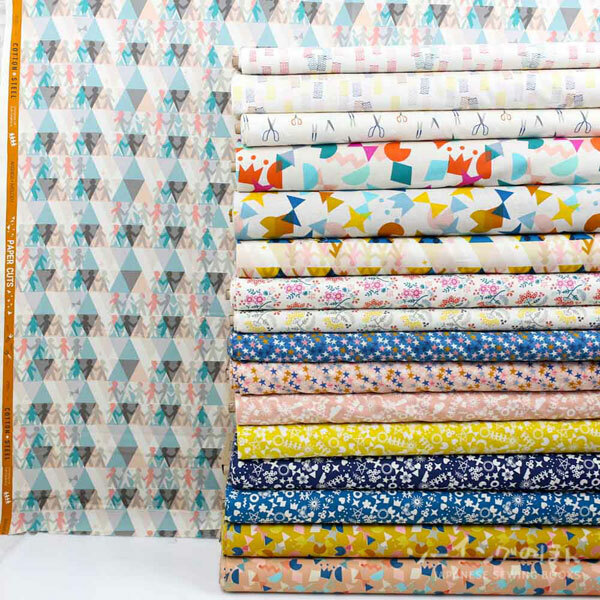 There will be an awesome giveaway sponsored by our very generous fabric sponsor – Nekoneko.co! More about this over the next few days while I get the images and details ready. This time round it’s for ladies only. Sizes S, M&L, L+ and 2L are included. It’s a little confusing, but I will explain later with the size chart at the end of the book review. 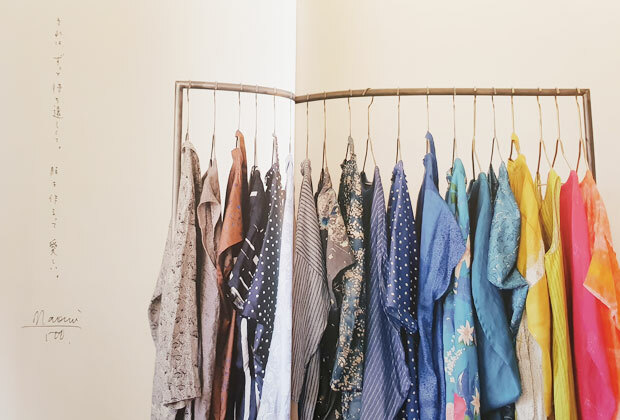 There are patterns for tops, pants, skirts, dresses, pantsuit, hats, coats and shirts. Well practically everything. 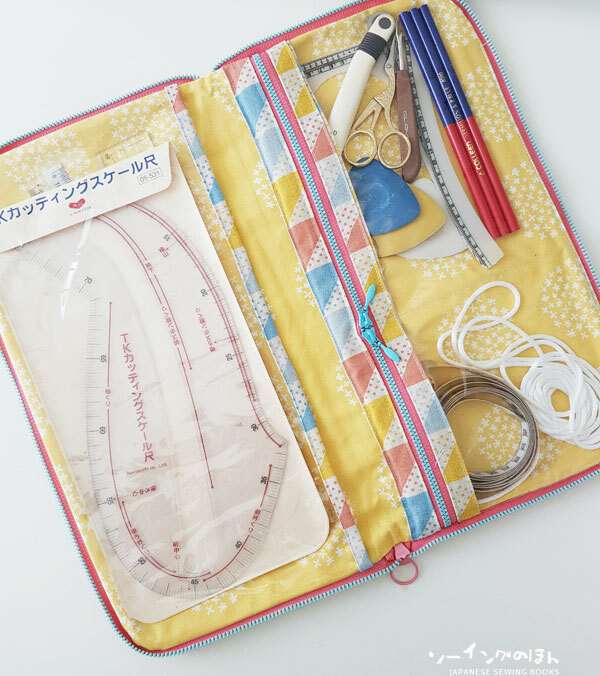 It is the Sewing Closet book after all! 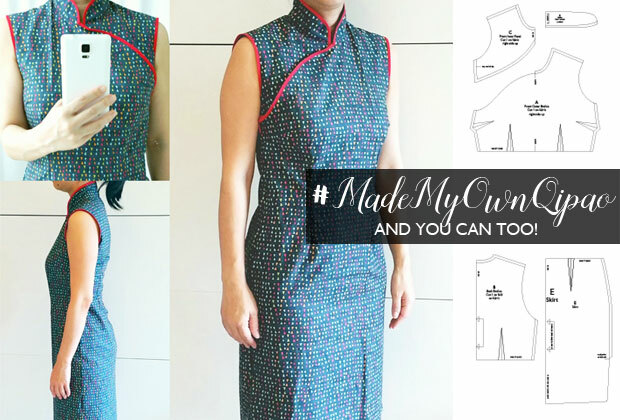 The projects are grouped based on difficulty of making – as indicated by the approximate number of hours you will need to make the garment. 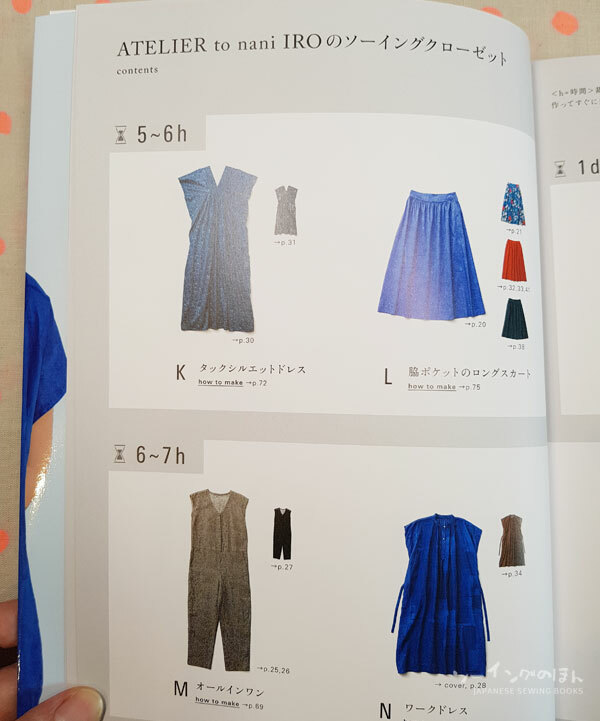 The outfits for each page are labelled below. 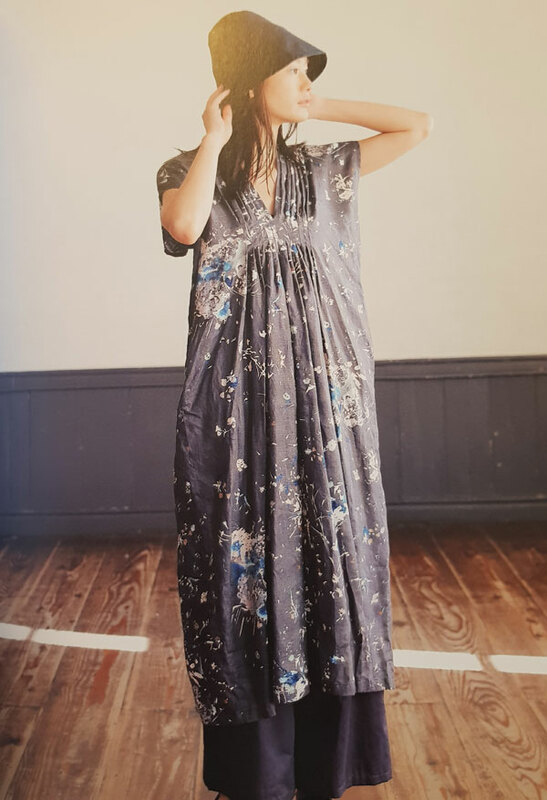 Here is the Cocoon dress with the petticoat dress worn underneath. The main fabric on the dress is Camino in Double Gauze. 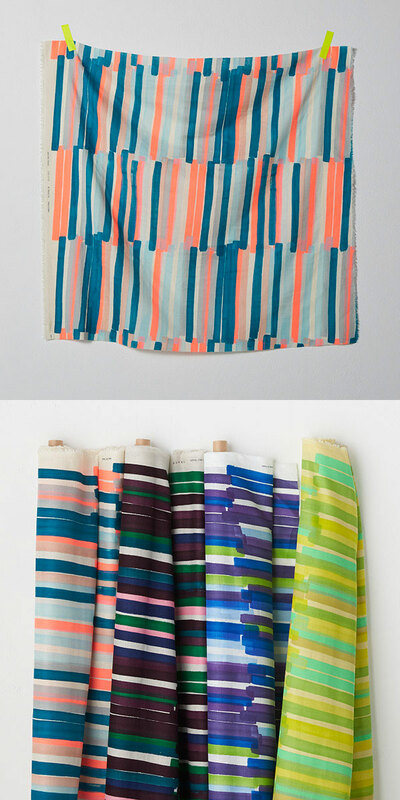 Other than prints, there is a range of solid color fabrics under the new range – Naomi Ito Colors. 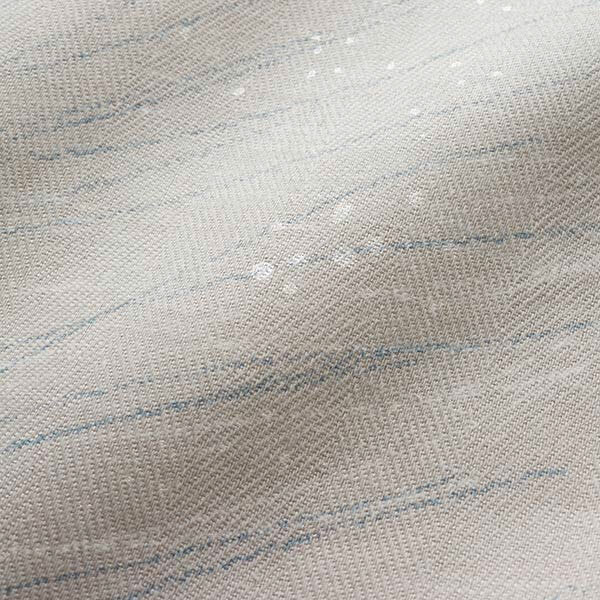 You can find many different subtrates here – Linen Cotton, Cotton Sateen, Cotton Linen Herringbone, Linen, Cotton Linen Brushed Herringbone (something like the the wool used for men’s suits). 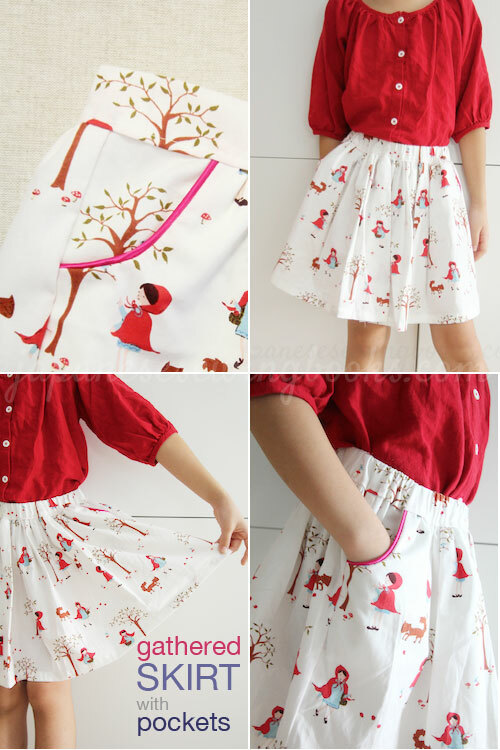 The above skirt with side buttons, is made using the solid Linen color – French Red. 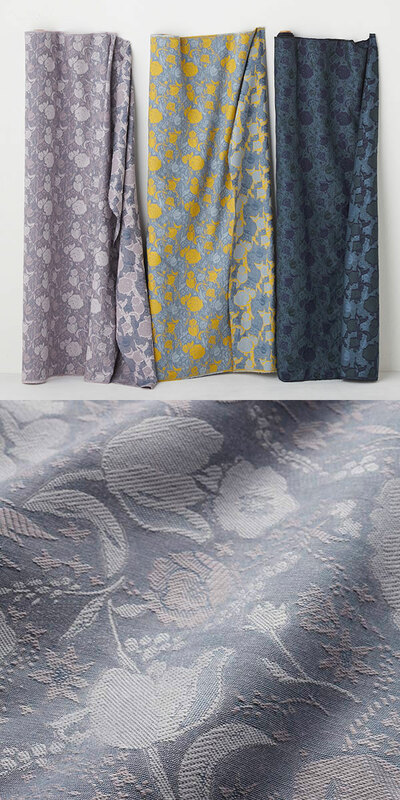 One of my favourite designs – Fuccra Rakuen is released in new colors and substrates this season. 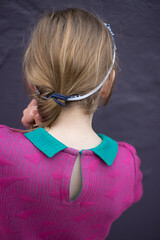 Seen here is the blue linen version, made into skirt L.
Work shirt in Camino linen. 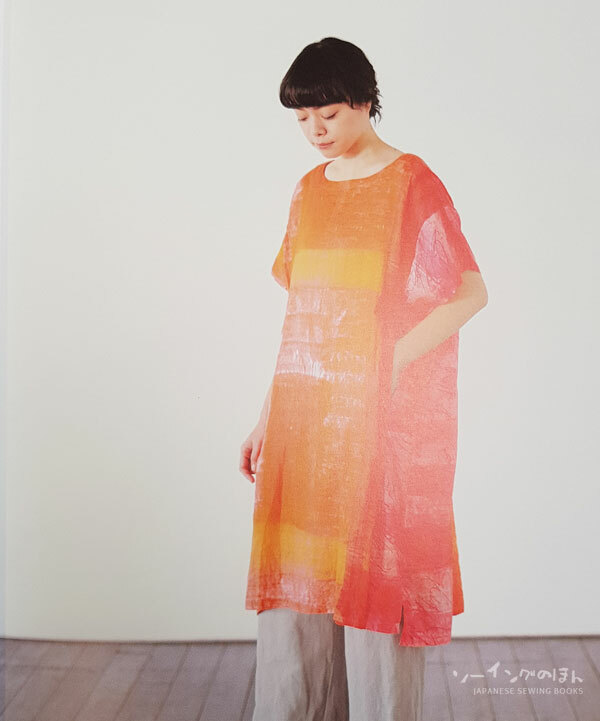 Another one made using Situation linen – this is a lightweight coat for Spring/Summer. and now for the size chart. I’ll translate the important information below to help you decide which size is best for you. Confusing??? I was confused too… until I looked at the pattern sheets. Basically, first find out which size you belong to, first refer to the size table (above). You will notice there are overlaps in some of the measurements for some of the sizes. 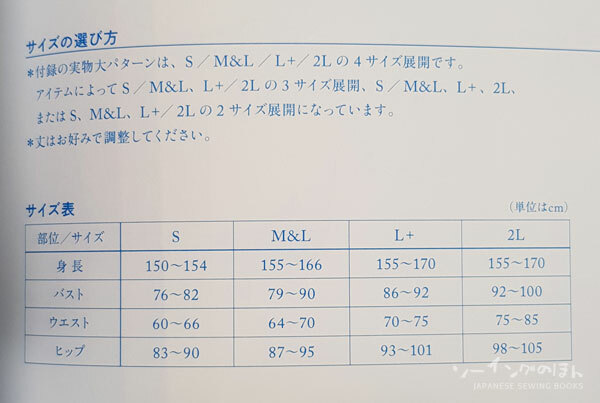 My guess is that it is done this way because most people don’t fall neatly into a particular size, so the table gives you a better idea if you should choose one size up or down based on all of your measurements. The next thing to note is that, not all the pattern sheets come in the 4 sizes listed above in the table. 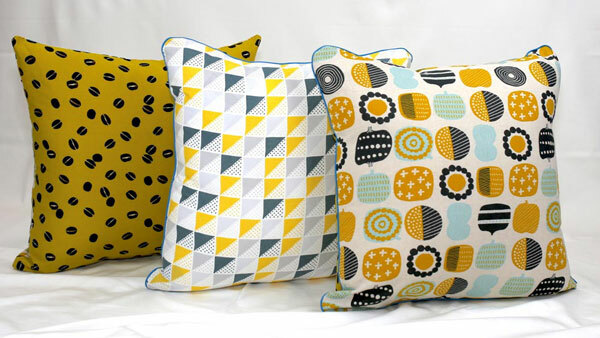 Certain items have patterns that come in 2 sizes and some in 3 sizes – which means that some of the sizes are grouped into one pattern sheet. 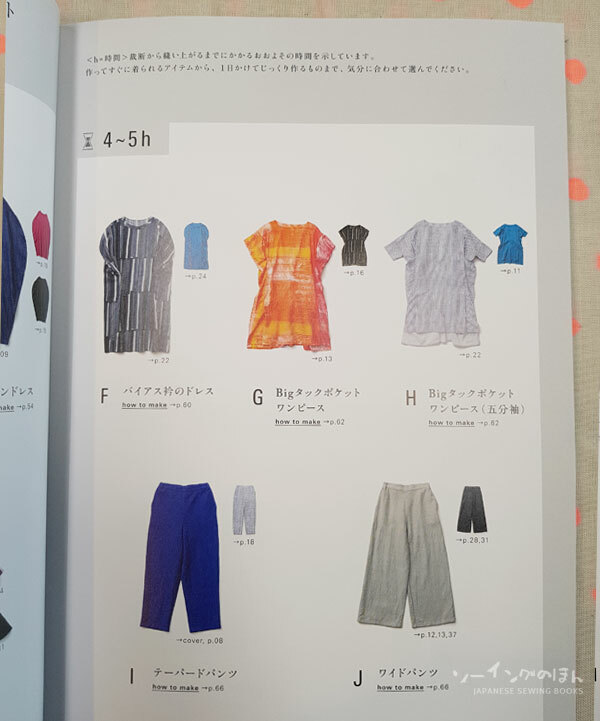 For example, the first pattern A – bias neck T shirt, comes with 2 pattern sizes only. 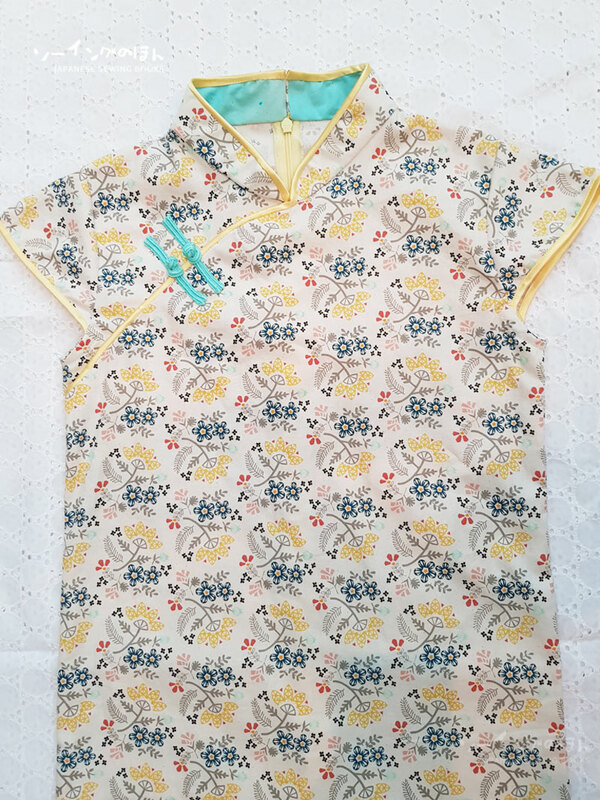 Sizes S, M&L and L+ make use of the smaller pattern, and size 2L uses the larger pattern. 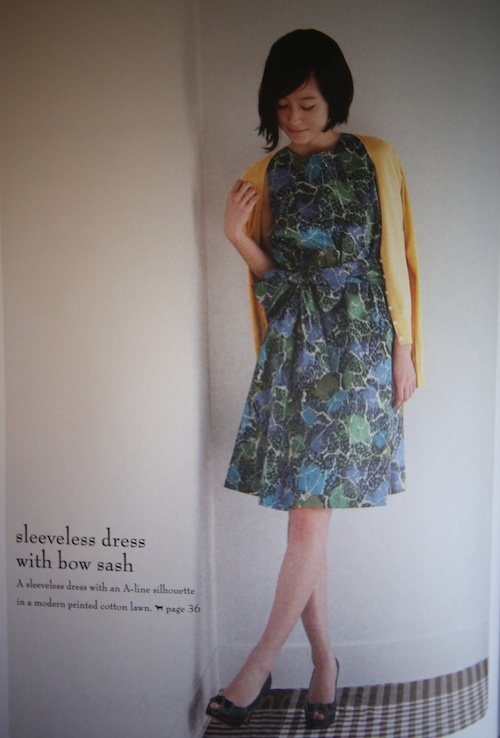 The second example is more straightforward F- Bias neck dress – this comes in 4 separate sizes patterns, S / M&L / L+ / 2L. The easiest way to tell is from the material list in the how-to-make pages. If there are 2 sets of numbers, there are 2 pattern sizes, and so on… The other way is to look at the sizes separated by the backslashes. I don’t know why it has to be so confusing… but that’s just the way it was written. 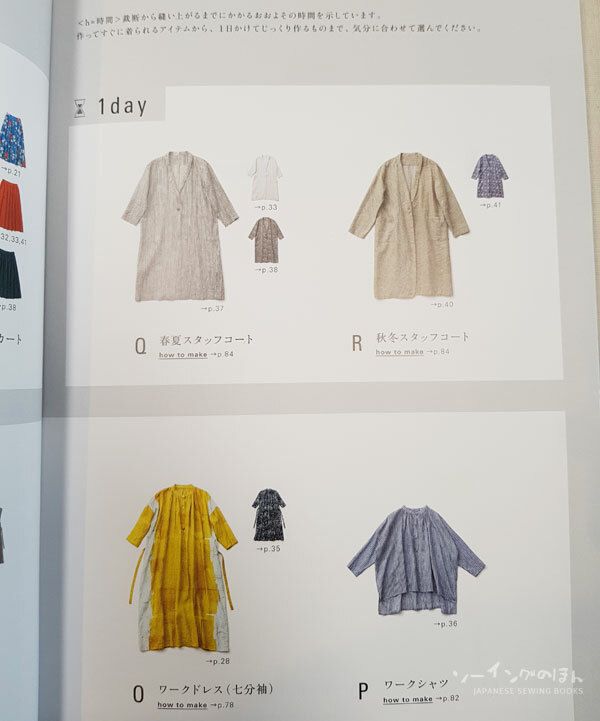 There are many more garments in the book that I could not post here, so have a look at the book flip-through video! 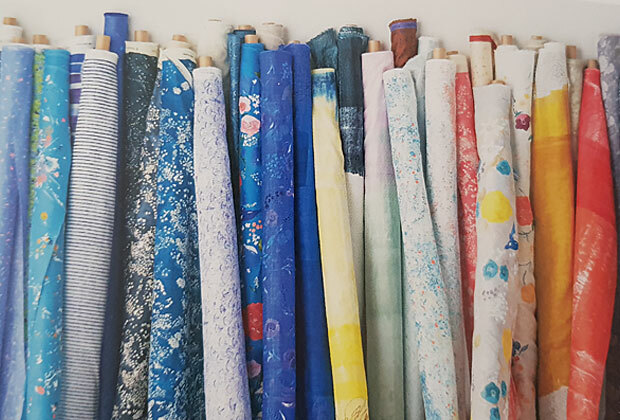 Everytime I go fabric shopping in Japan, I stay on the lookout for one of my favourite brands – Koizumi fabrics. 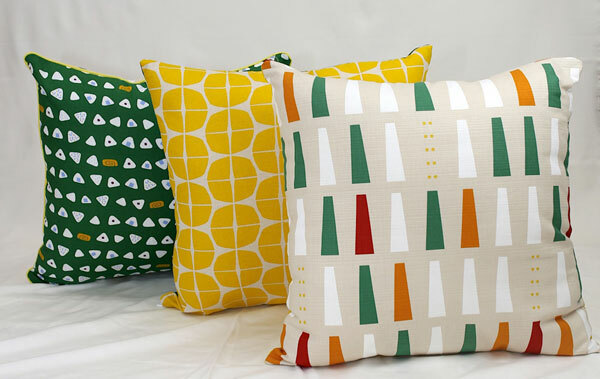 In particular, they have a lot of Scandinavian inspired designs that I love. 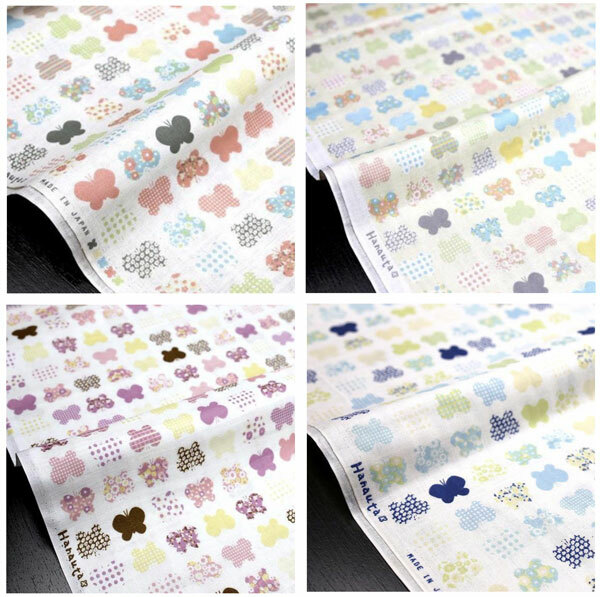 These fabrics are usually sold in the domestic market only and I can usually buy it only from Rakuten. 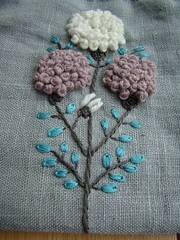 My last shopping trip was in November last year and I was particularly taken to this design called Flower Bouquet. All the colors were soooo pretty I took a really long time to choose. I finally did and then when I got home… guess what? 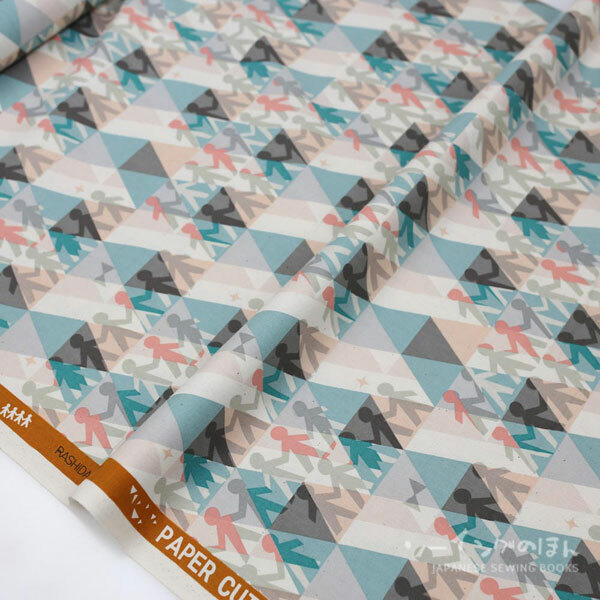 I realized that my favourite Japanese fabric store – Nekoneko.co has it in stock. Not the double gauze though, so luckily I bought it. 😛 And so I searched for all the Koizumi fabrics in her store and realized that I don’t have to lug them back from Japan anymore… I should have checked first! 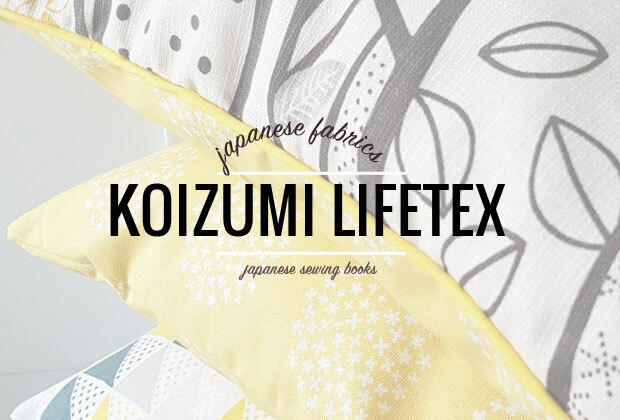 This series is actually from Le Depart under Koizumi Lifetex – the same fabric range I made my cube bag with. 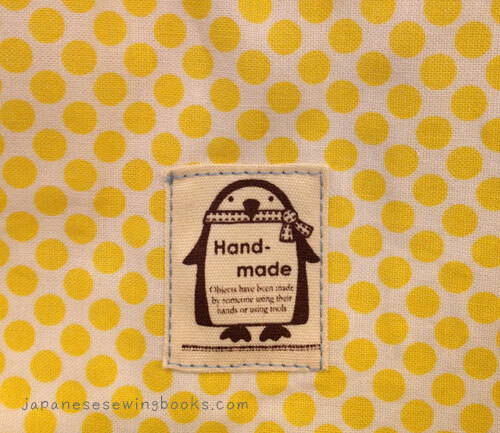 The yellow fabric is actually listed in Japanese sites as a sharkskin fabric. I don’t know what it really means because searching this term in English yields very different results when searching in Japanese. But take my word that it is nothing to do with sharks, it is actually a type of fabric that is more like canvas, so it’s great for upholstery. 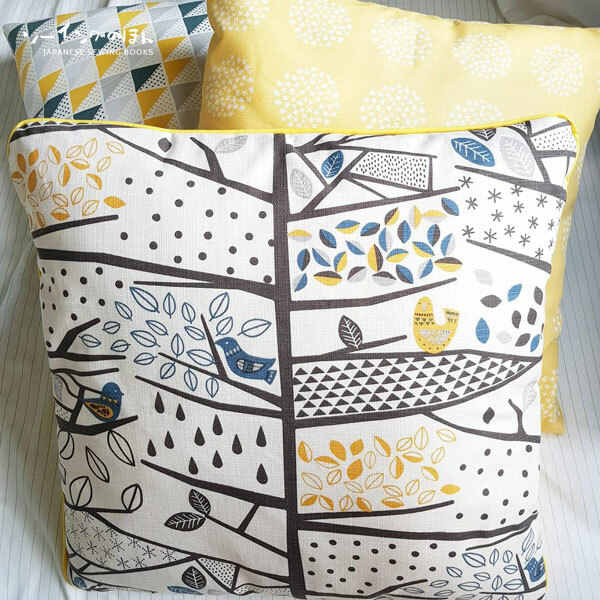 The Bird forest fabric is bark cloth, which is a slightly thick and textured fabric as you can see from the lines in the close up shot below. It is also great for upholstery and cushions! So I had to make something with it. I needed something to keep my drafting tools and rulers neatly, so I made myself a zip-around case. It’s interfaced with fusible foam (ByAnnie’s Soft and Stable) so it is nice and spongy, like a laptop case. It’s long because I had to fit in the rulers. 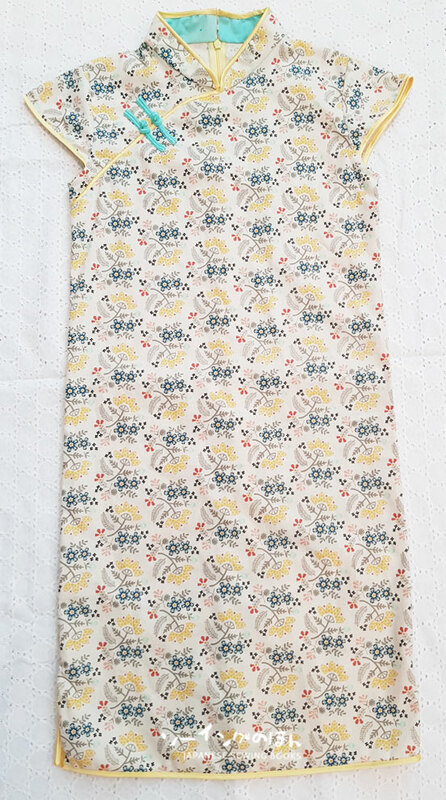 For the lining, I used remnants of the yellow Flower bouquet fabric that I used for the cushions. Then I used vinyl for the pockets so that I can see where everything is. 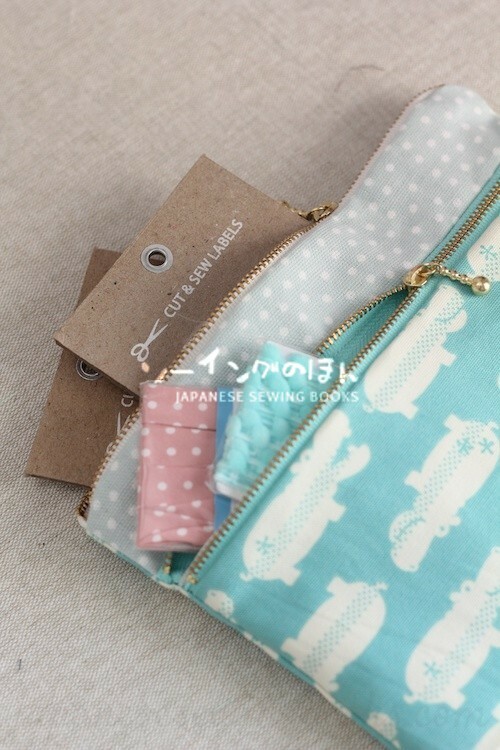 On the right are two compartments and I used this really cute Free Style Fastener that I bought from Japan (made by a company called Nippon Chuko) The zip pulls were bought separately and they were made by YKK. Love how everything came together! 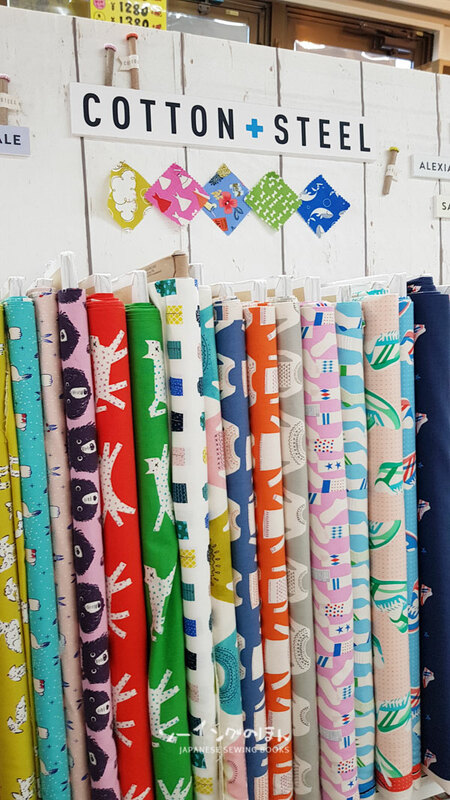 There were too many nice ones so I can’t list them all, so here are some of my other favourite Koizumi fabrics from nekoneo.co. 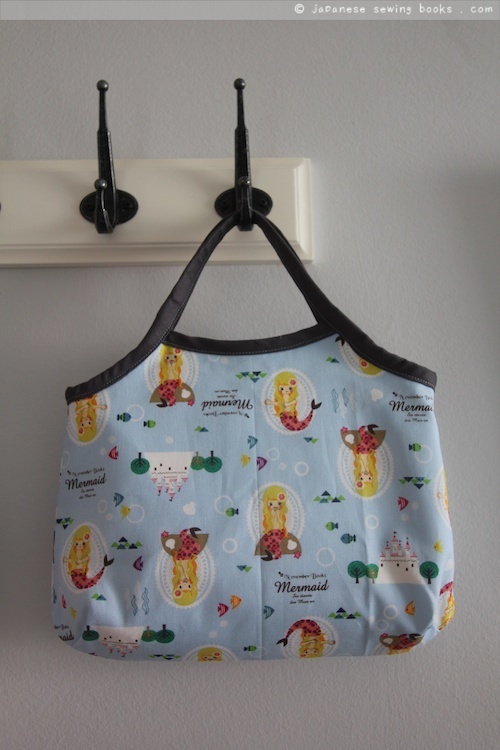 A very cute fruit/vegetable print design that will be perfect for a cooking apron! Colorful sticks? Such a simple but eye-catching design. 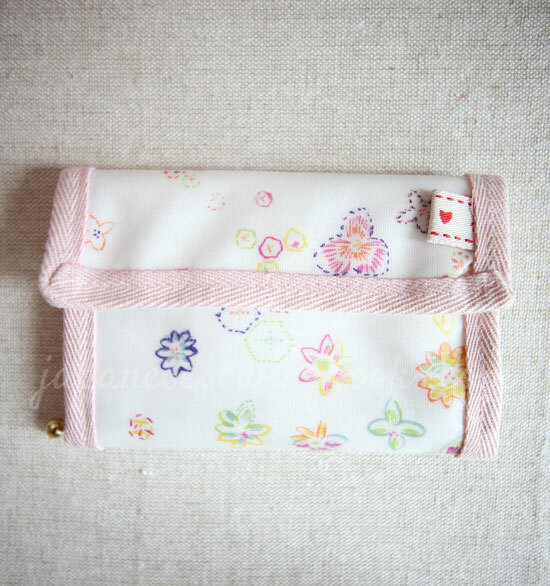 I am thinking this will be great for bags and pouches. and look what I found! Hanauta double gauze! 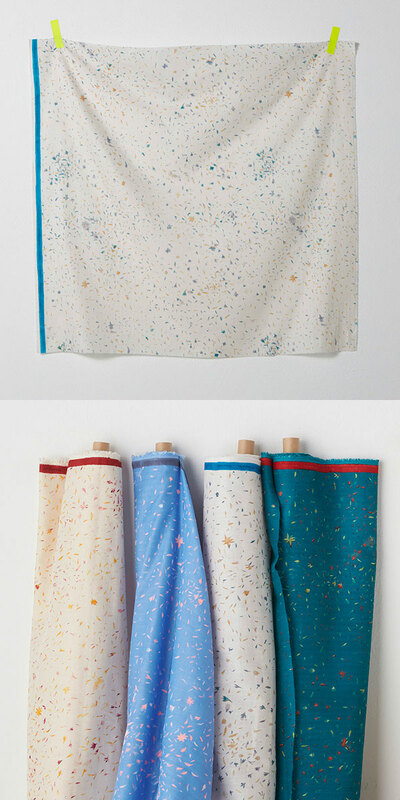 I didn’t know this was made by Koizumi too, I blogged about this fabric series before. 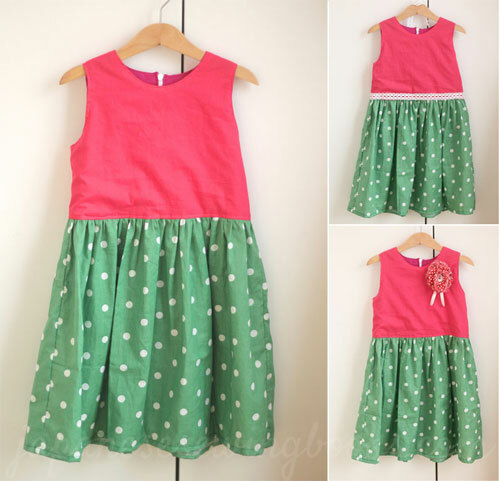 These will be perfect for little girls dresses. 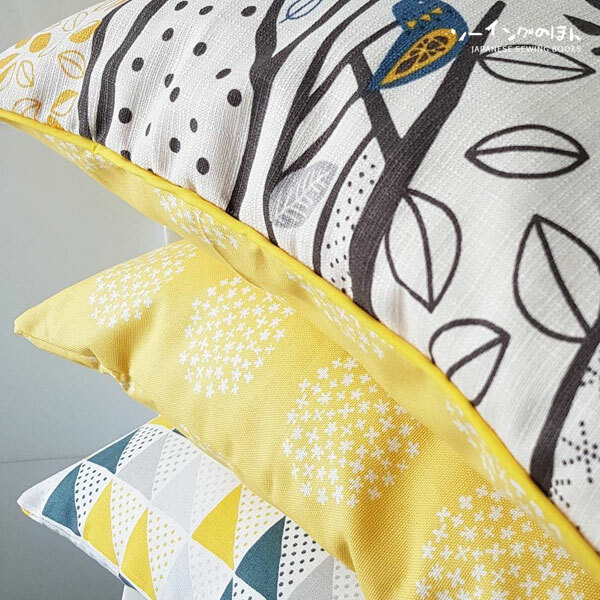 Each cushion cover kit set will allow you to make 3 no.s of 50x50cm cushions, with 6 pieces of pre-cut coordinated fabric, piping, zips, and even a step by step tutorial with photos that she created. 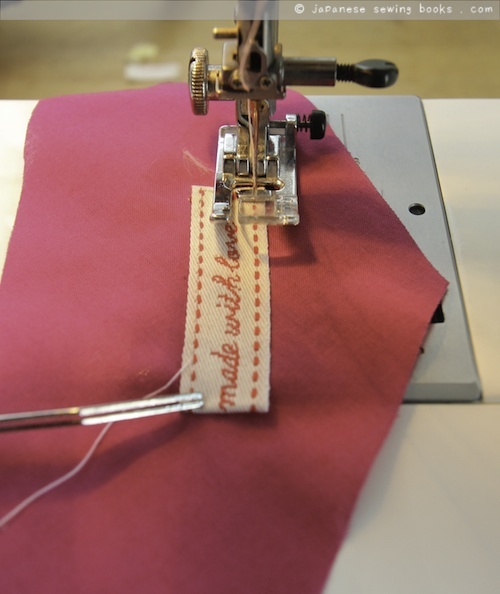 It is a great beginner project and you get to learn how to install a concealed zip on a cushion as well as piping! There are 6 sets in all, check out all the combinations here! 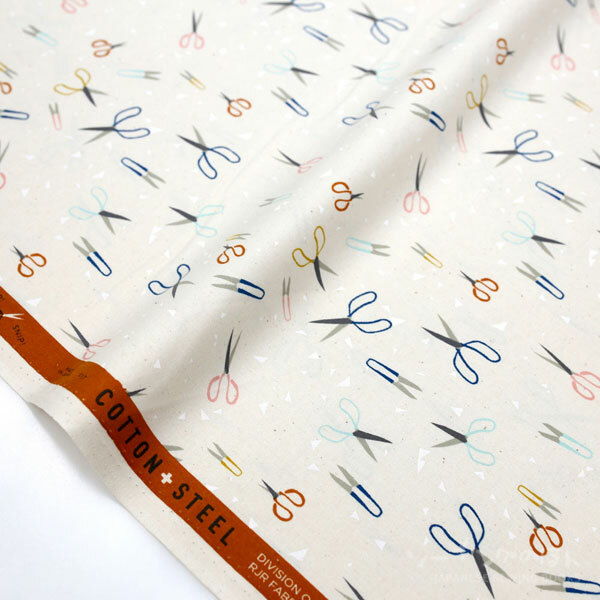 I’ve been a big fan of COTTON + STEEL ever since I discovered their Riflepaperco fabric. So when I was fabric shopping in Tokyo last Novemeber, I kept a lookout for their fabrics. The displays are so cute! 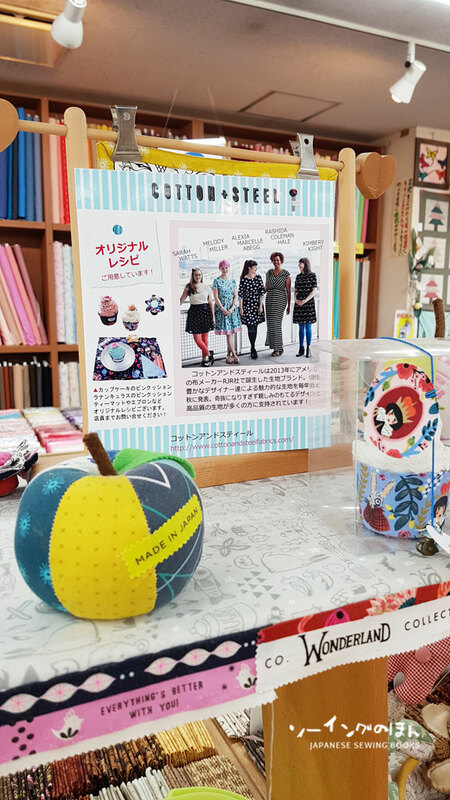 These photos are of the display from the Tomato store in Nippori fabric town. 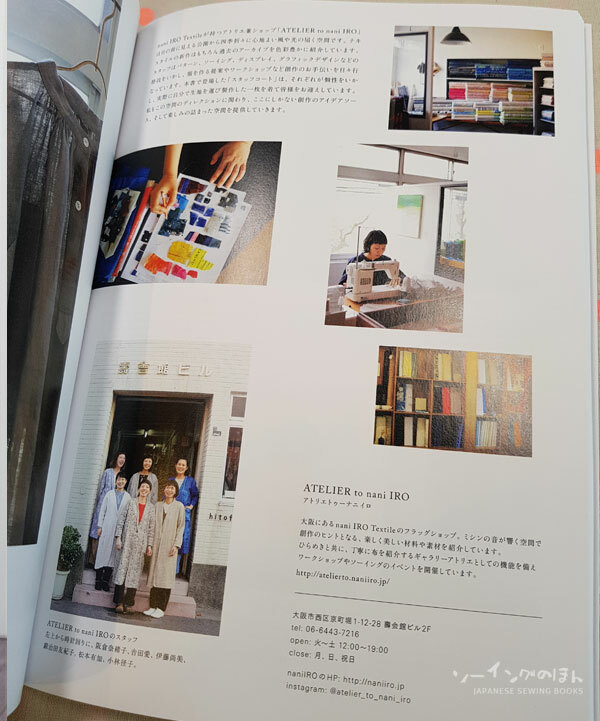 There is even a cute display card introducing all the designers of Cotton + Steel fabric. 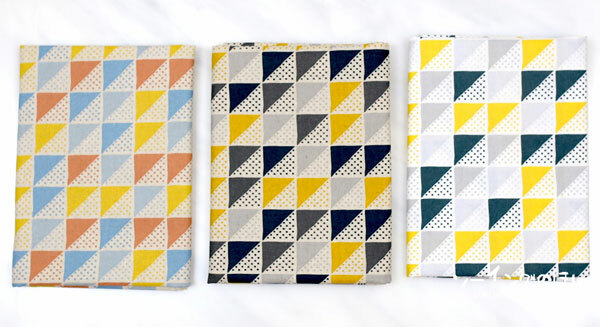 One of my favourite things about their fabric – the cute selvedges that come with every fabric. These are wide enough for clothing labels and some of them even come with a cute little quote. 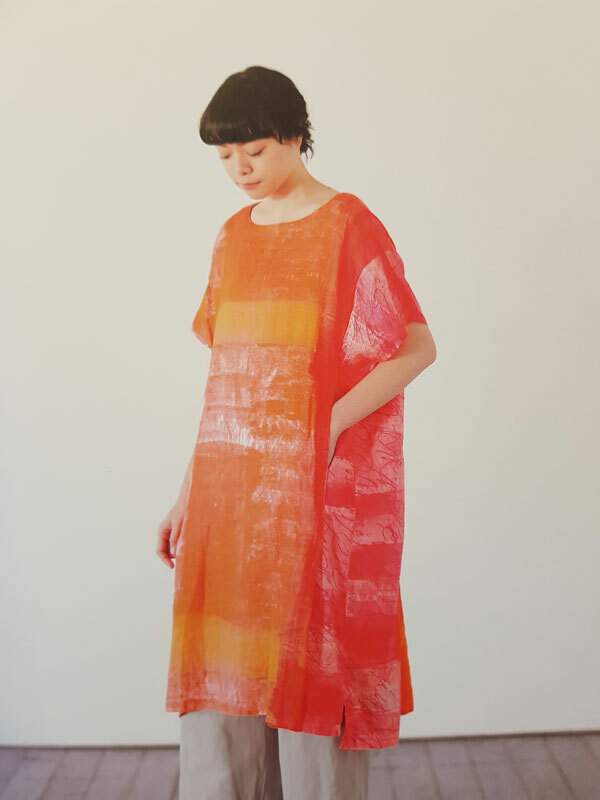 Today I want to talk about the latest collection by Rashida Coleman-Hale. The new collection is called Papercuts. 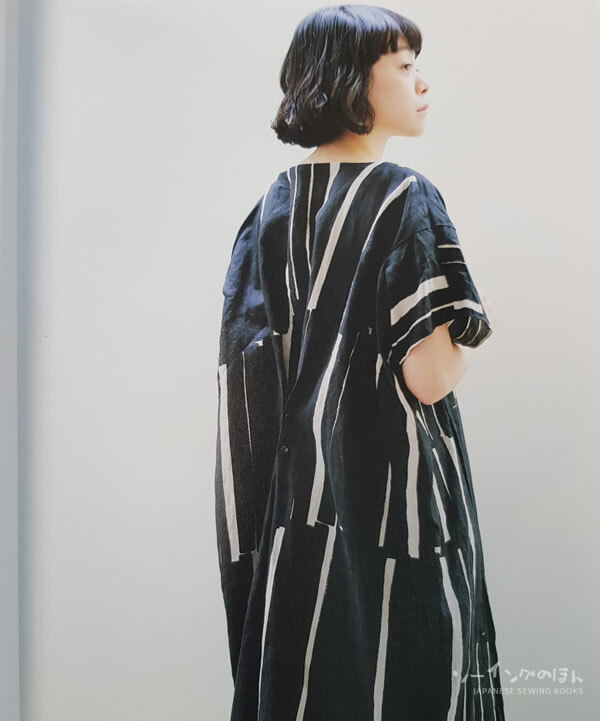 I first heard about this collection through my Japanese fabric supplier Nekoneko.co when she posted it on her Facebook page. 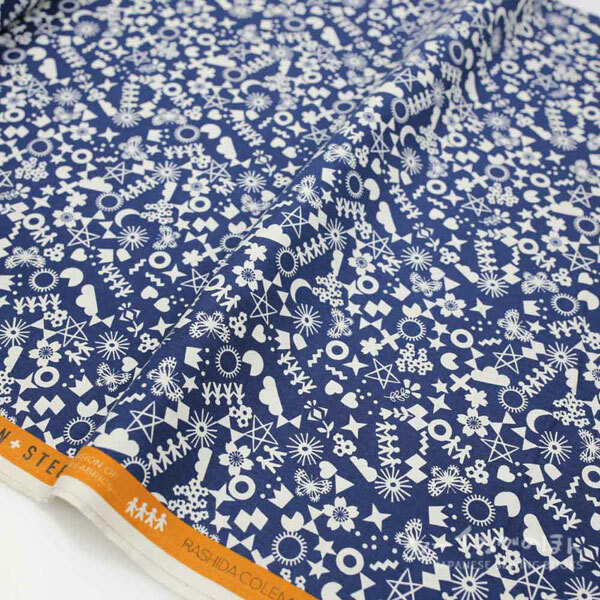 This was the first fabric that caught my attention. Paper People – we’ve all made paper people when we were kids haven’t we? 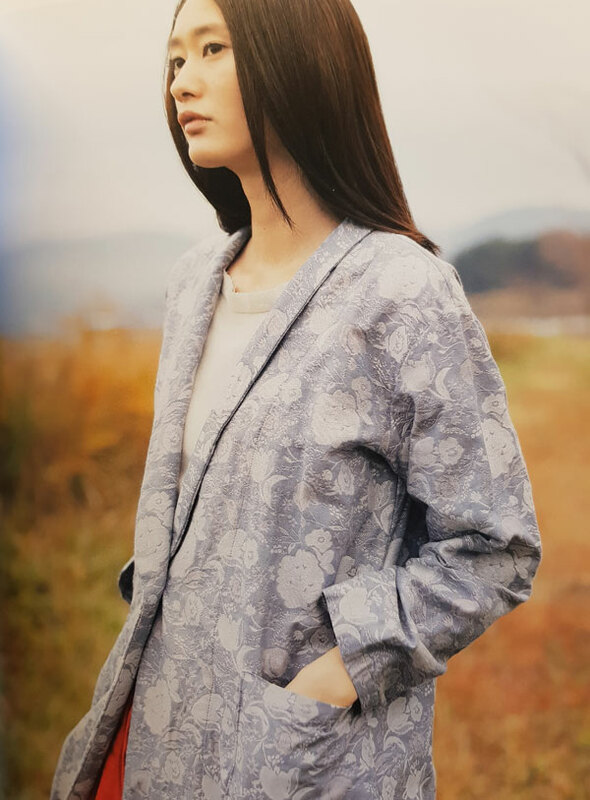 Toami – isn’t this print just fascinating? According to Cotton and Steel’s IG post, Toami is the name of a traditional Japanese paper cut of a fishing net. Ooh and I love this so much. This is called Paper Bouquet. This reminds me of the fine paper cutting decorations used during the New Year. 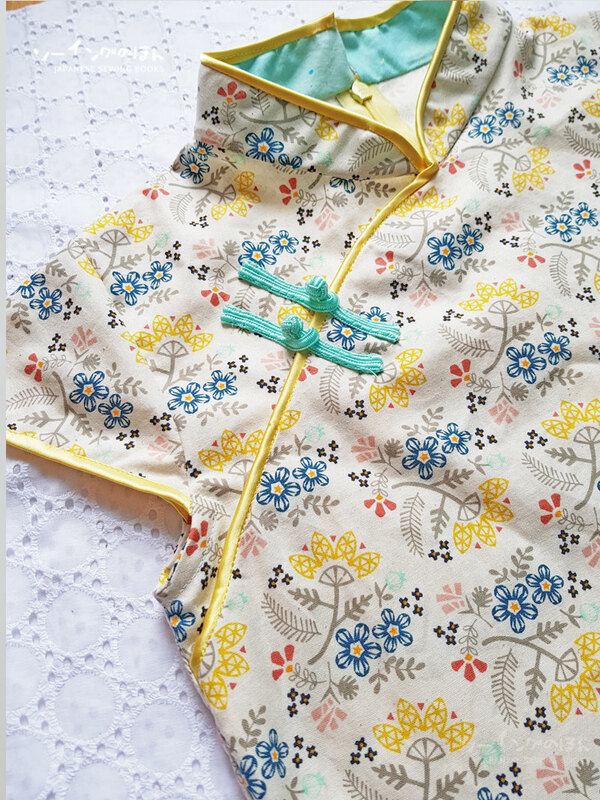 In fact I liked it so much, that I immediately thought of making a Qipao / Cheongsam with it.Lots of people have asked if quilting cotton is suitable for sewing apparel? Definitely! 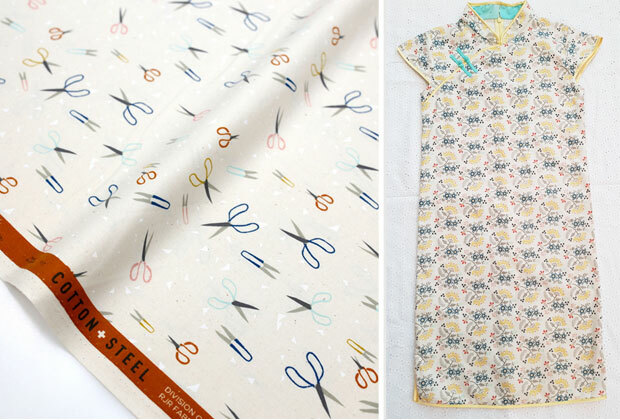 Cotton + Steel cottons are always so soft and comfortable. 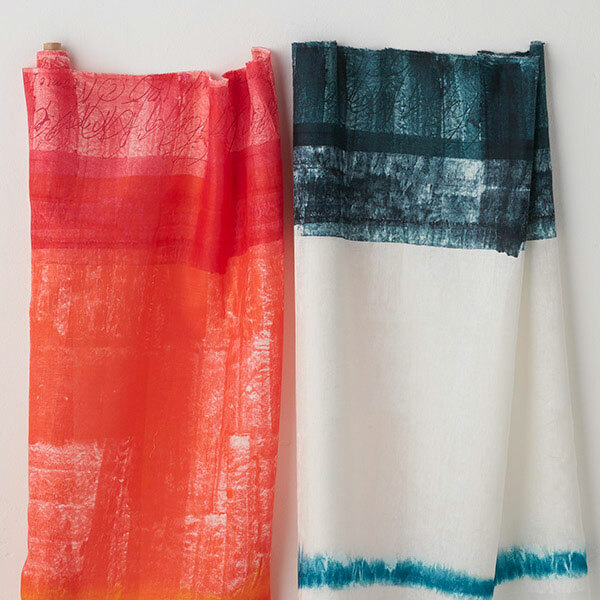 If you like more drape, some of their designs come in knit and rayon as well! 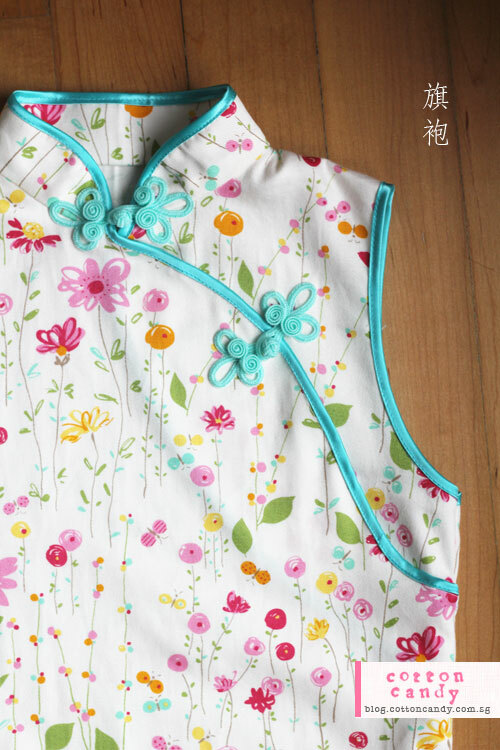 Anyway, back to my Chinese New Year sewing. I still have a huge mountain of sewing to do for the village before the 15th of February… so this came right on time! The fabric actually arrived in Singapore on Wednesday and Nekoneko.co was kind enough to quickly send me this fabric the next day, to be made into a Qipao /Cheongsam for my #2! No fit photos yet because she’s in school but I will try to take some over the weekend. Pattern is from my store – Porcupine Patterns.c0m. This is the straight version with cap sleeves and back zip opening. There are also A-line plus sleeveless/short sleeve/long sleeve options. All fabric photos were used with permission from Nekoneko.co. 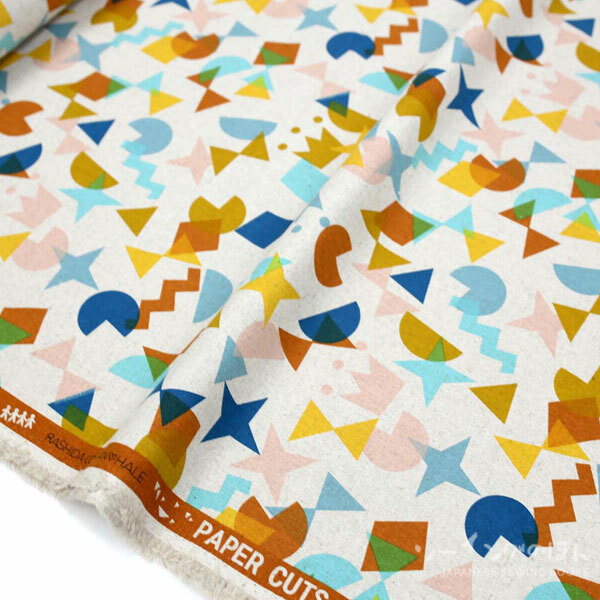 You can shop the Papercuts collection right here!